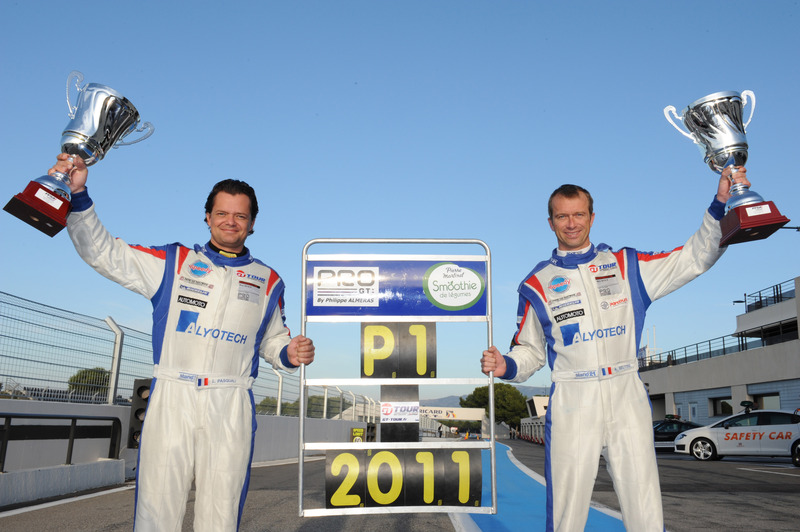 Anthony Beltoise and Laurent Pasquali brought their campaign to a successful end with their fifth win of the season at the 13th of 14 races during the final meeting in Le Castellet (29/30 October). 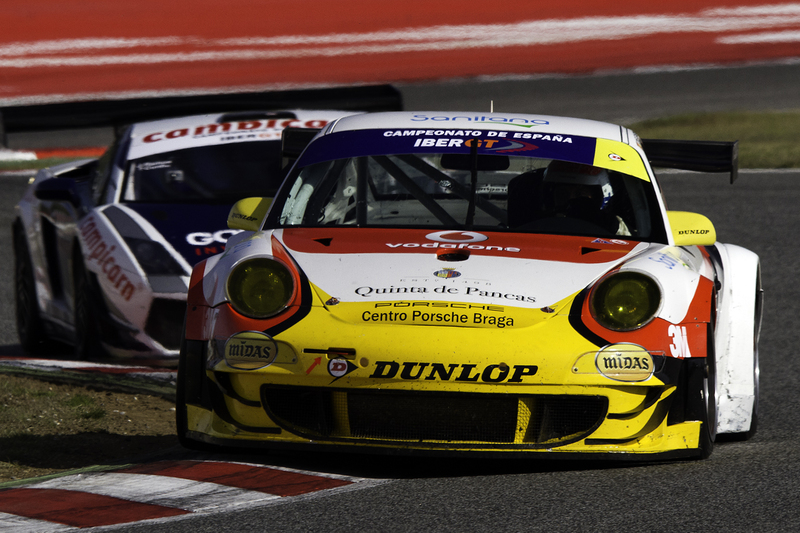 With this, the pair secured the French GT Championship title with the Porsche 911 GT3 R of the proven Pro-GT by Almeras squad. 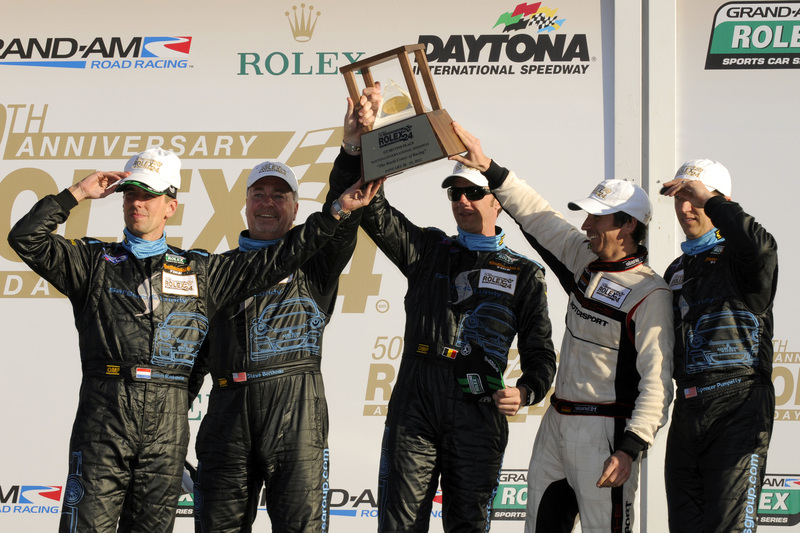 At the last race of the year, the freshly-crowned champions clinched second. 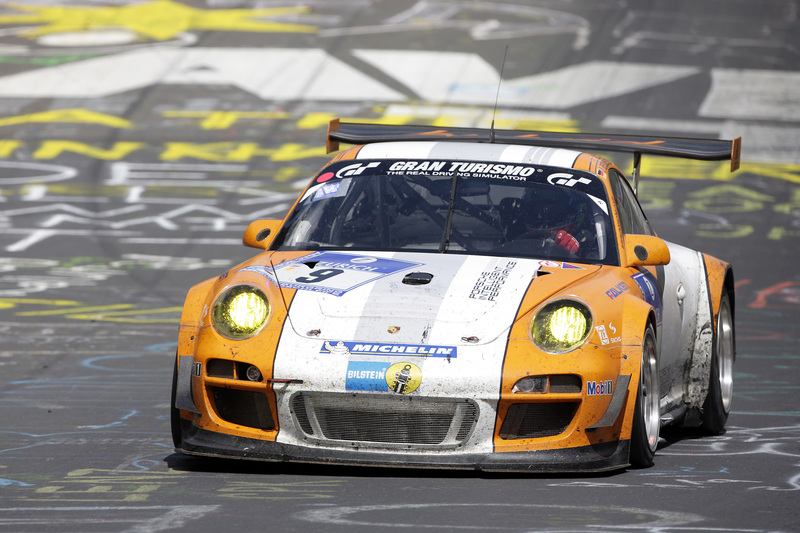 Patrick Bornhauser and Laurent Groppi wrapped up the season as third overall in a Porsche 911 GT3 R fielded by Larbre Compétition. 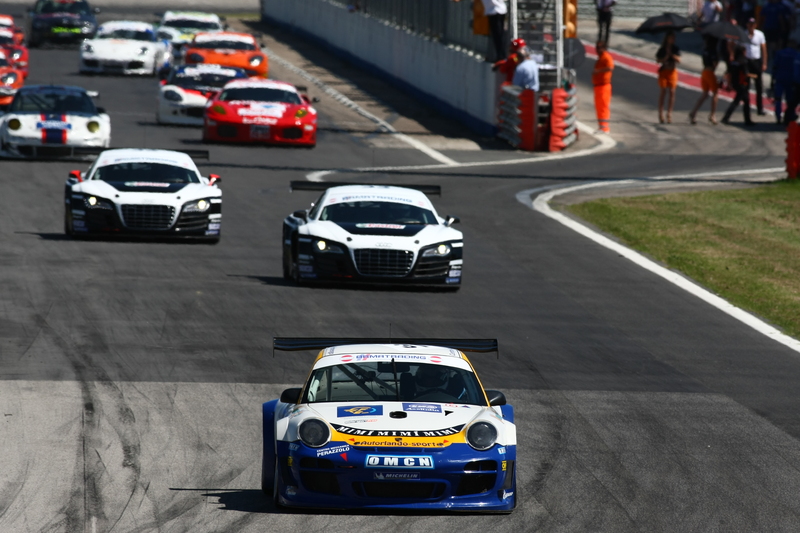 Victory and second place at the final round of the Spanish GT Championship on the Circuit de Cataluña near Barcelona (29/30 October) was enough for Portugal’s Manuel Giao to take out the title. 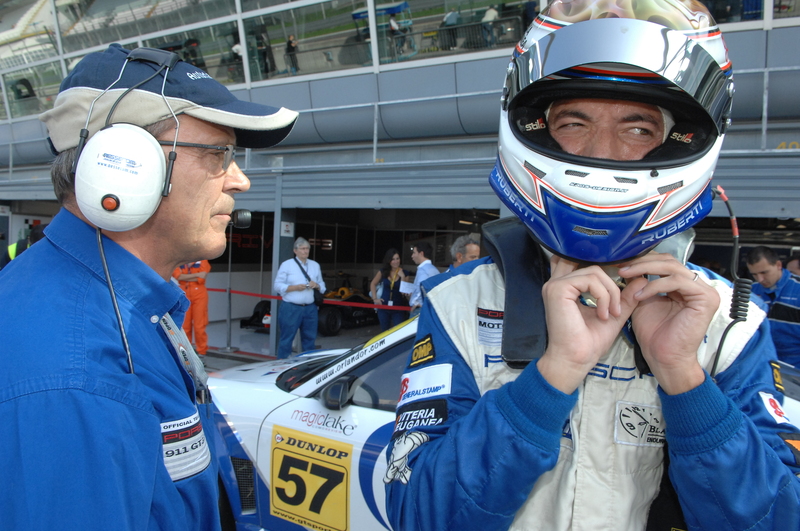 Giao shared the cockpit of the 911 GT3 RSR run by the Drivex team (Madrid) with Spaniard Miguel Angel de Castro. 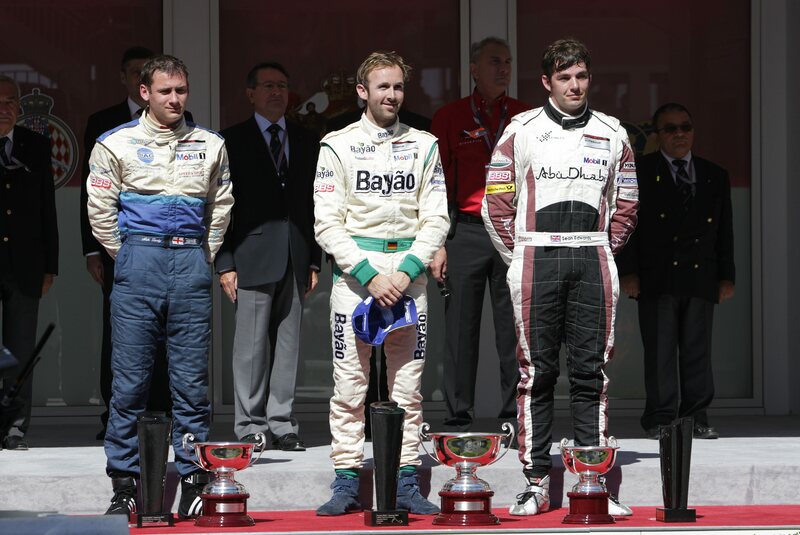 Two wins at the penultimate race weekend in Jerez catapulted Giao (15/16 October) to the top of the points’ table. 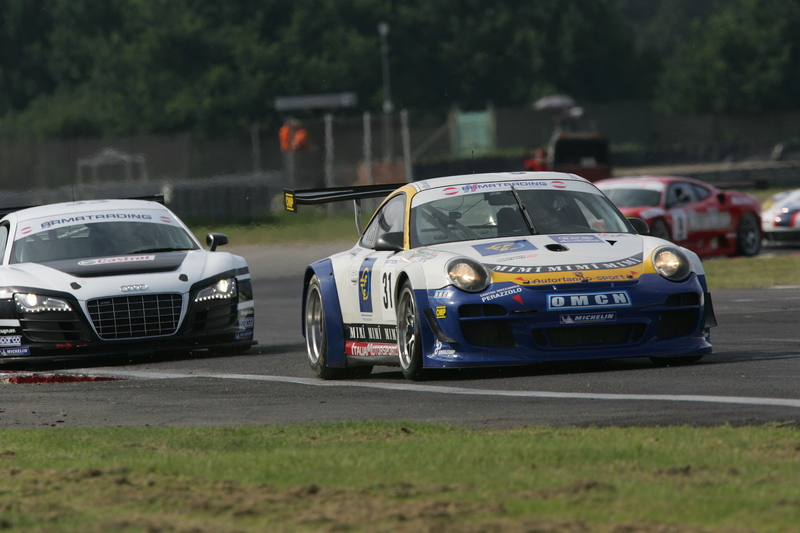 After Gregor Fisken and Tim Bridgman’s win in June with the Porsche 911 GT3 R of Trackspeed in Brands Hatch, fourth place at the final round of the British GT Championship in Silverstone (8 October) was enough for their British squad to retain the team title. 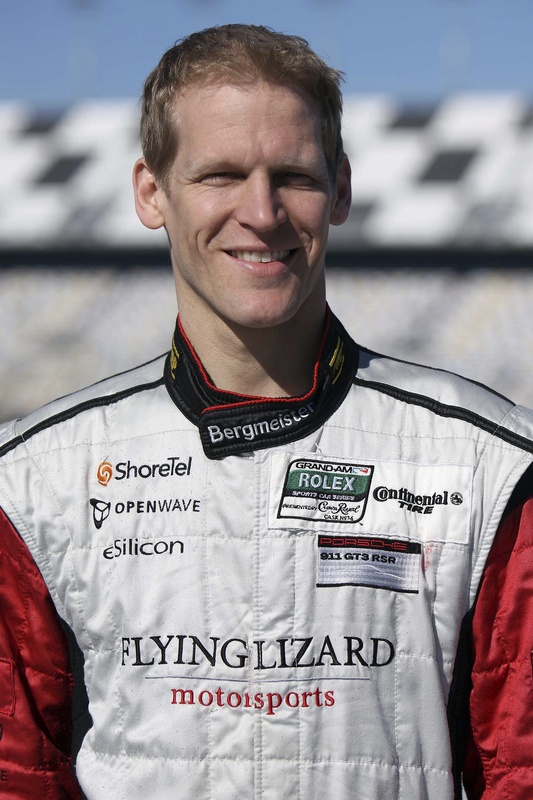 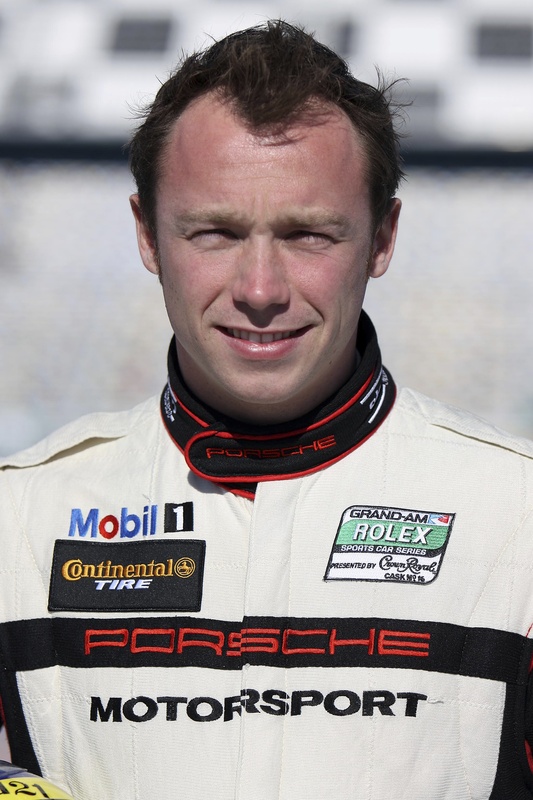 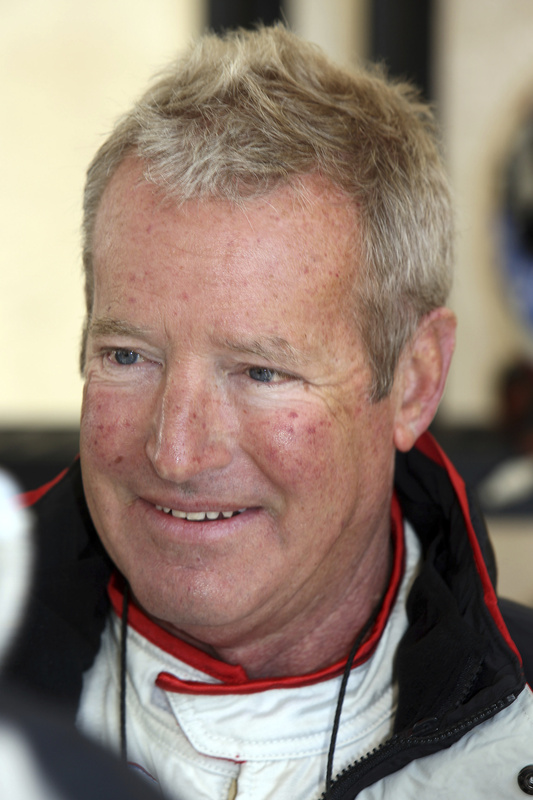 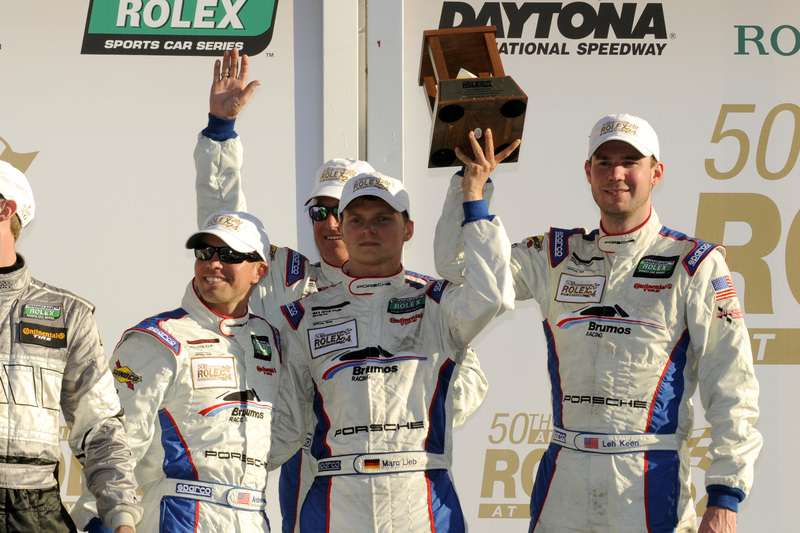 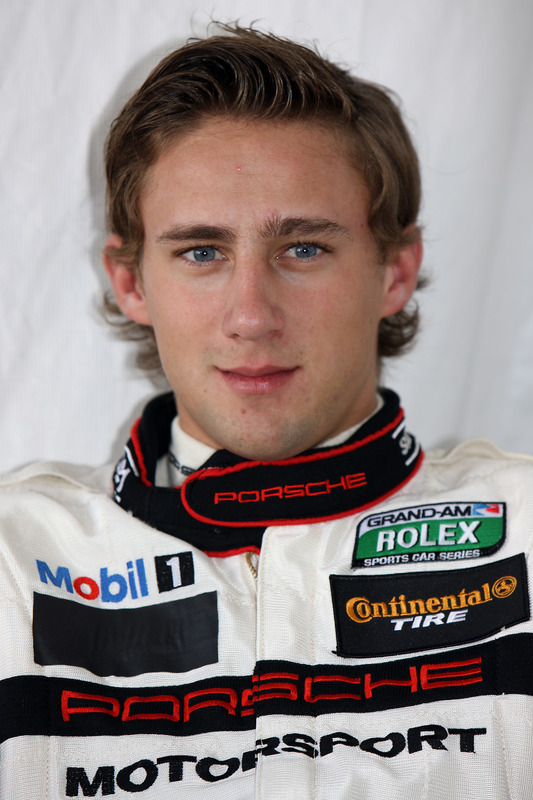 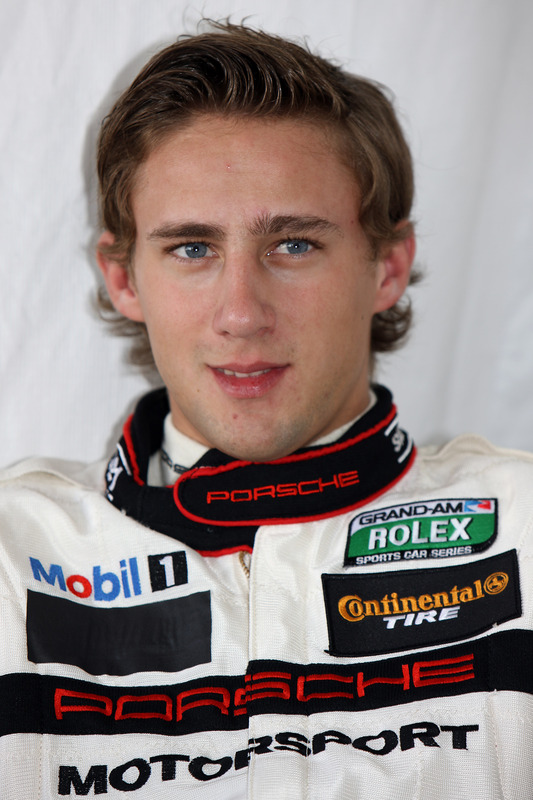 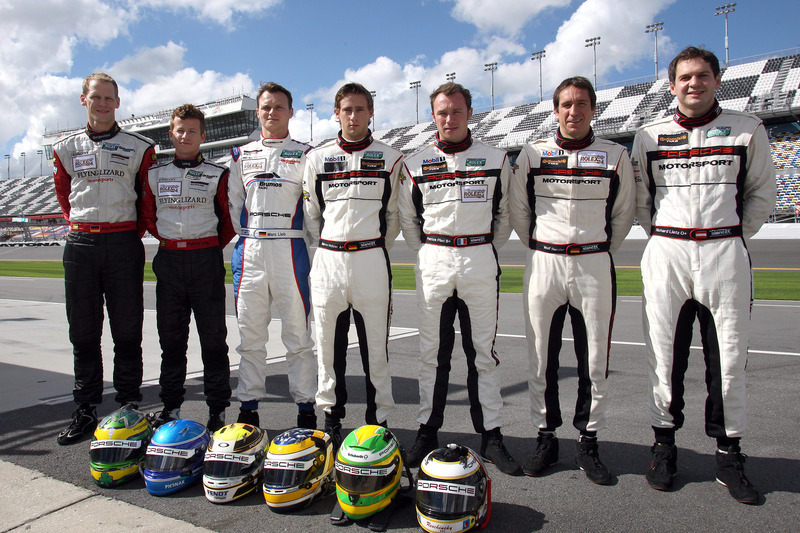 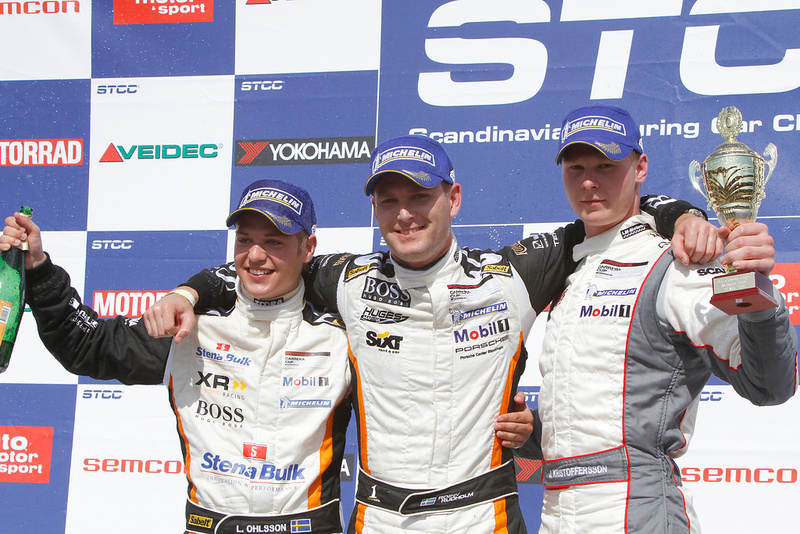 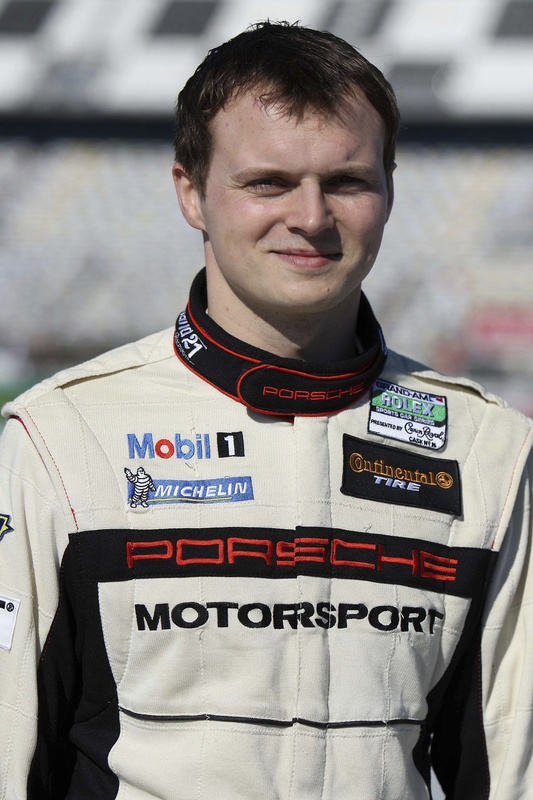 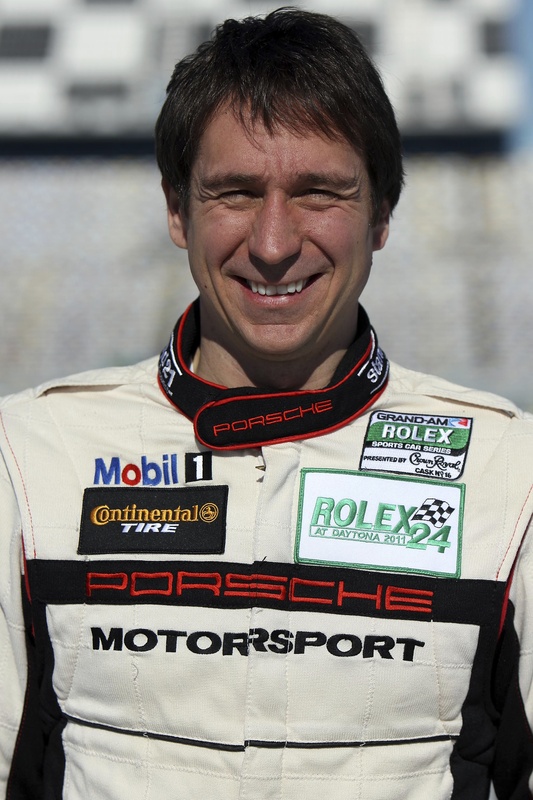 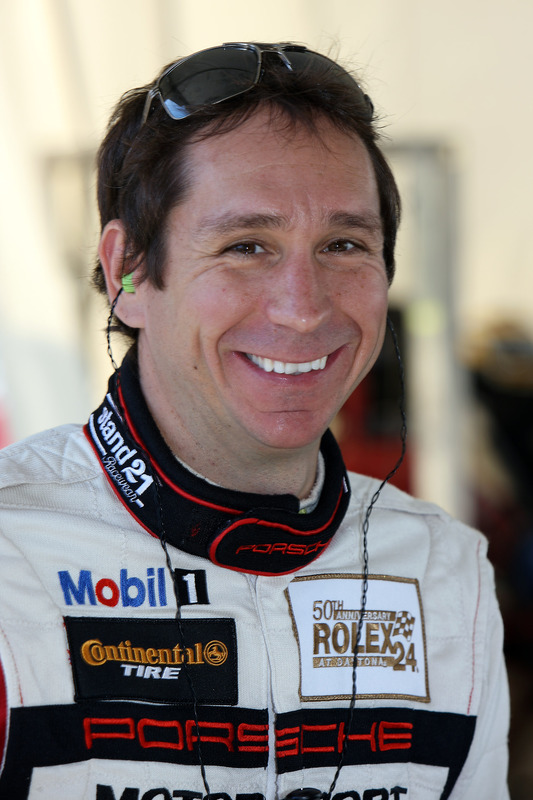 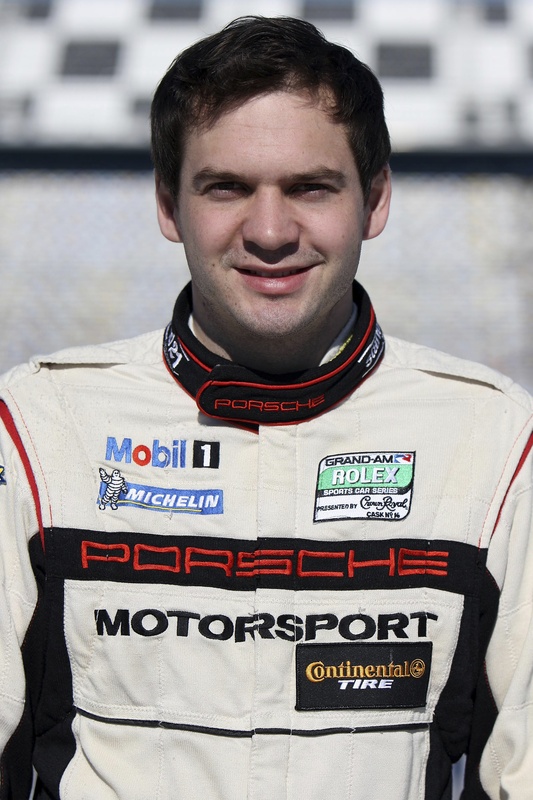 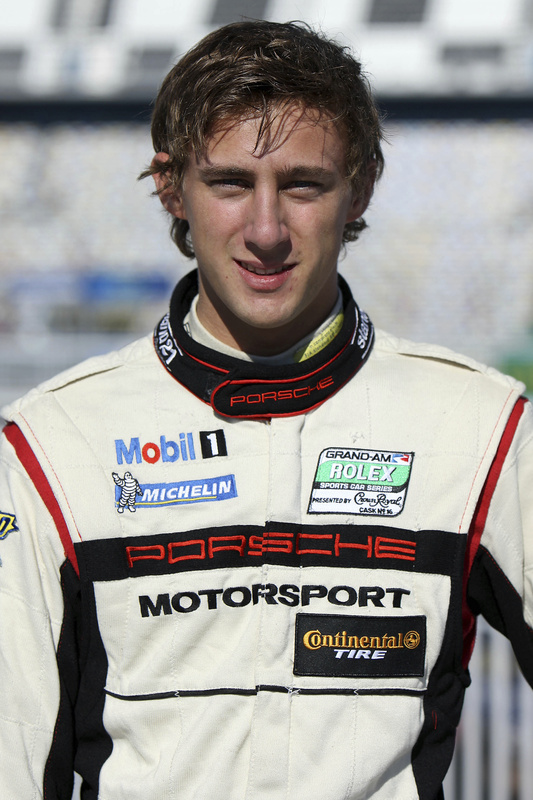 The best Porsche pilot in the 2011 drivers’ classification is last year’s champion and owner of the Trackspeed team, David Ashburn, in third place. 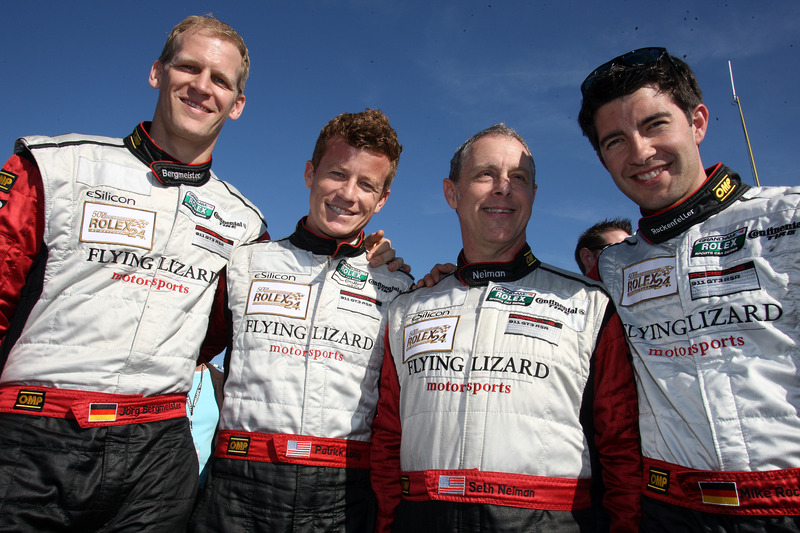 (l.-r.) Hurley Haywood, Leh Keen, Andrew Davis, Dan Davis. 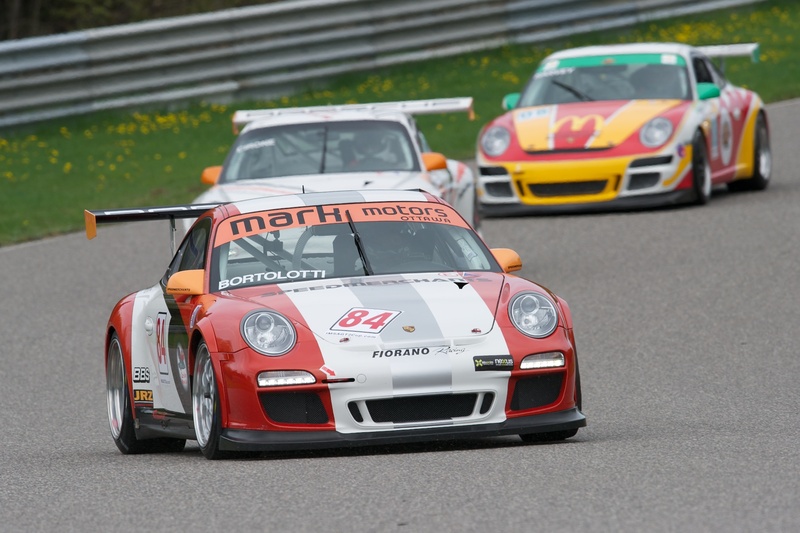 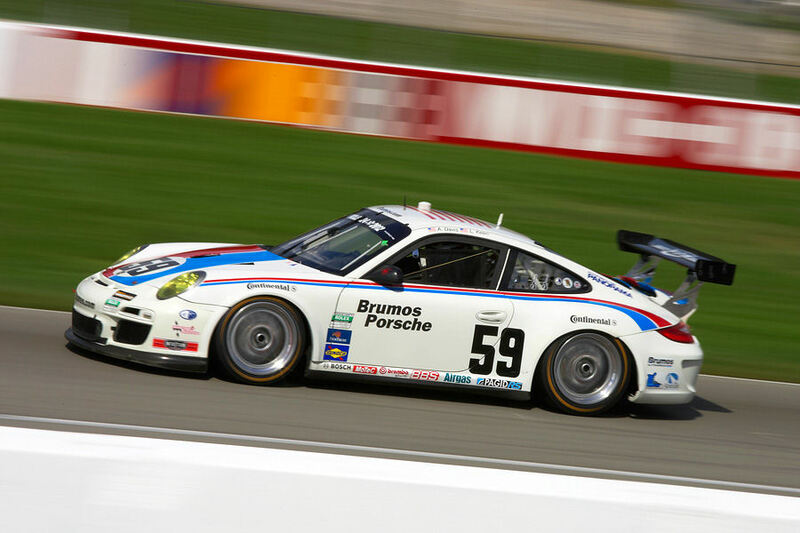 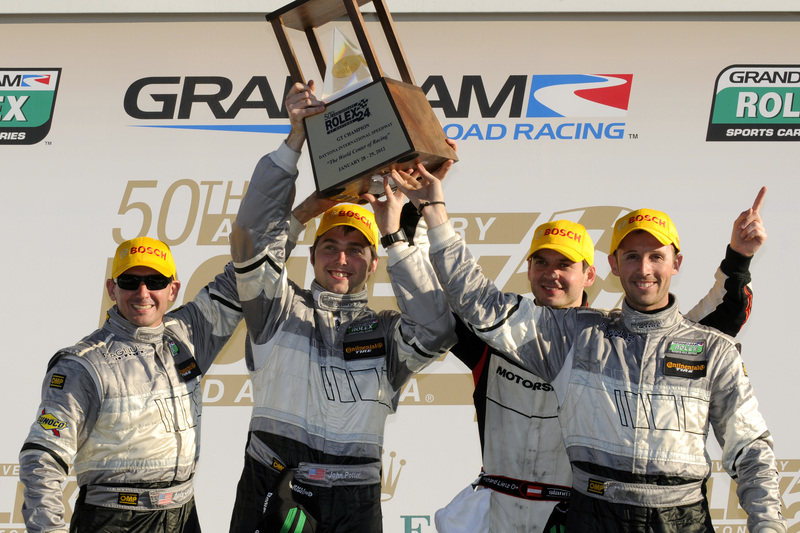 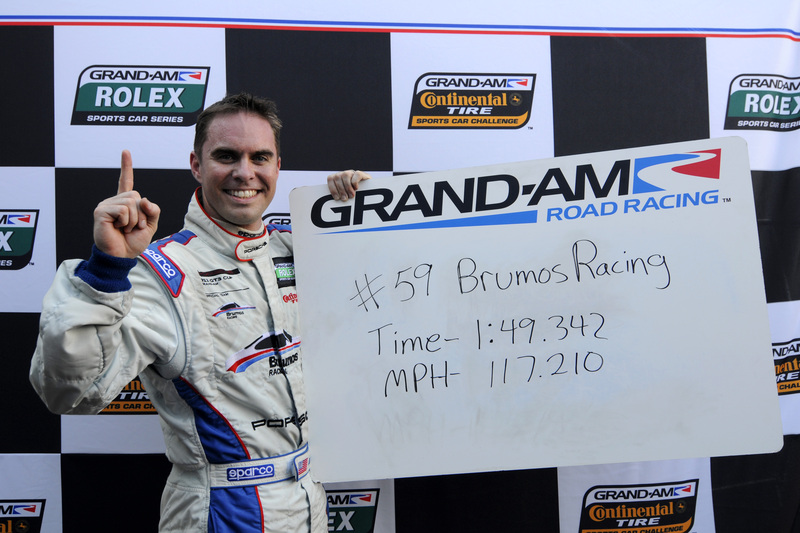 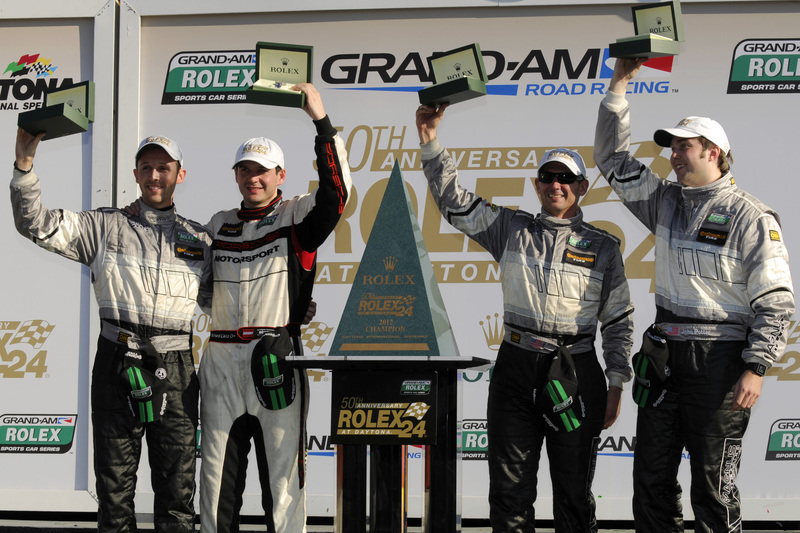 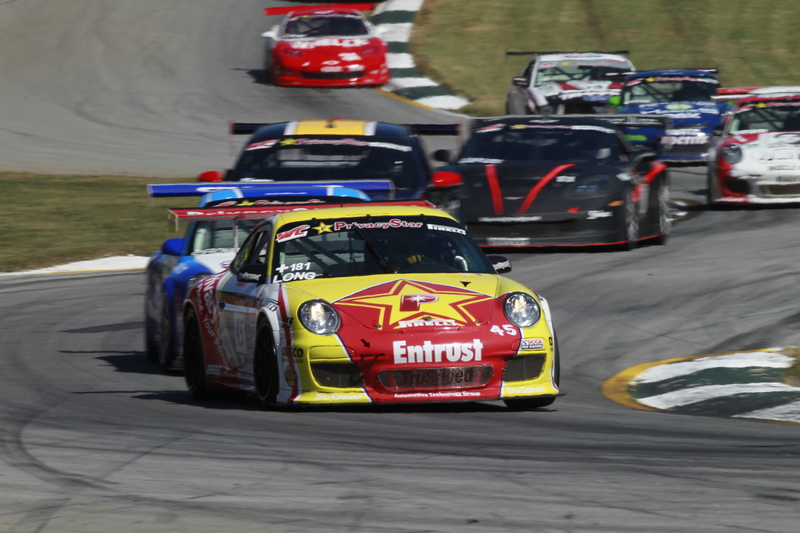 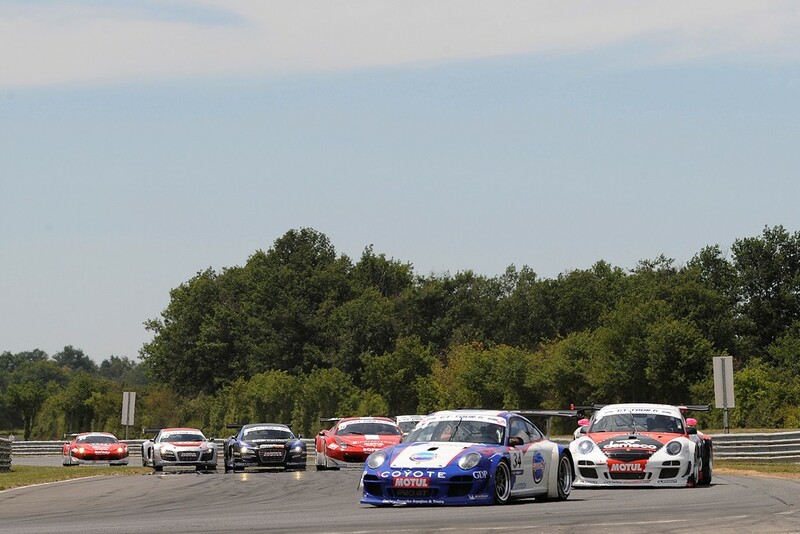 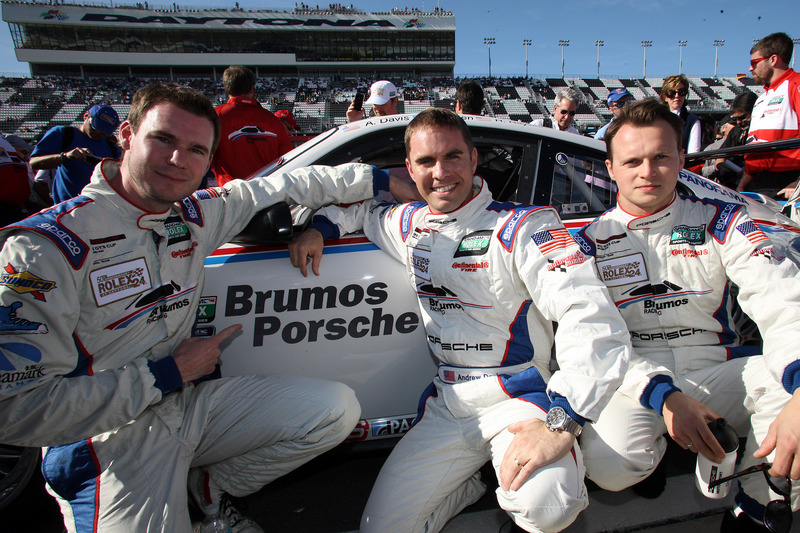 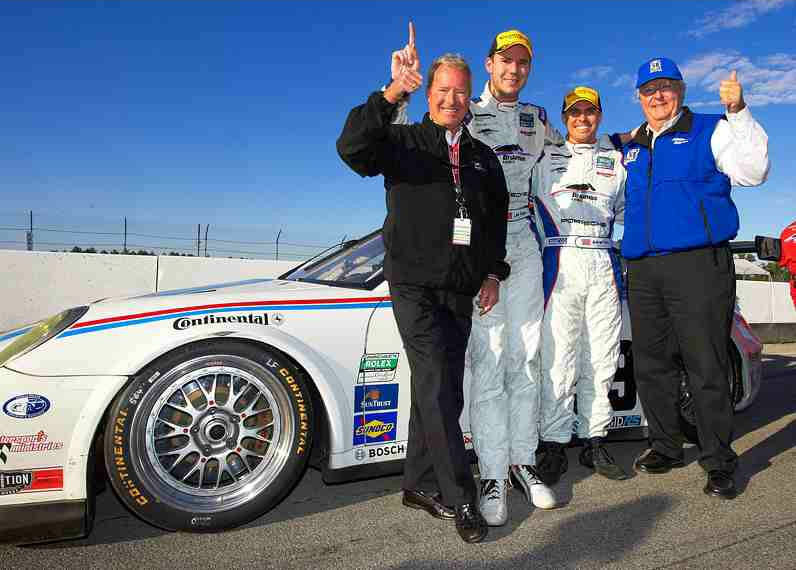 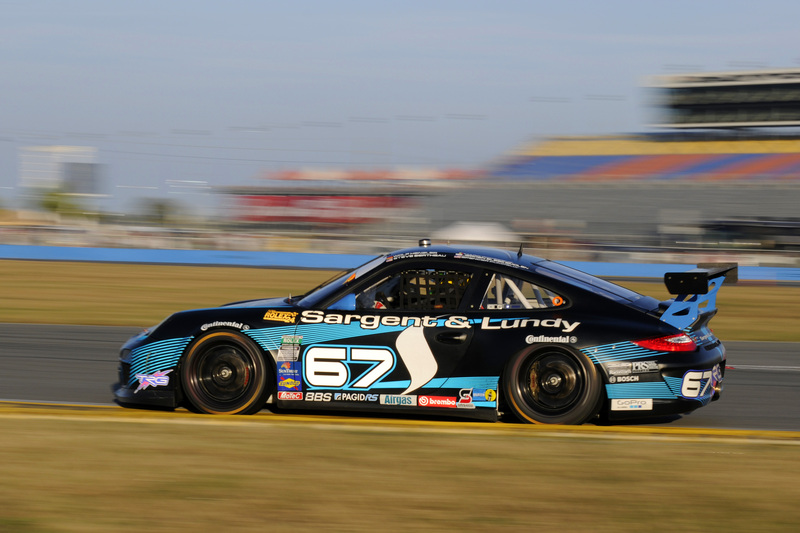 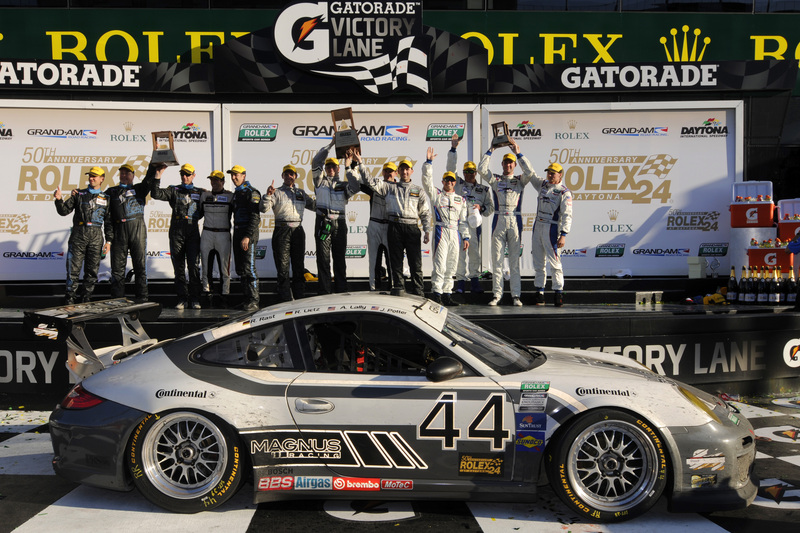 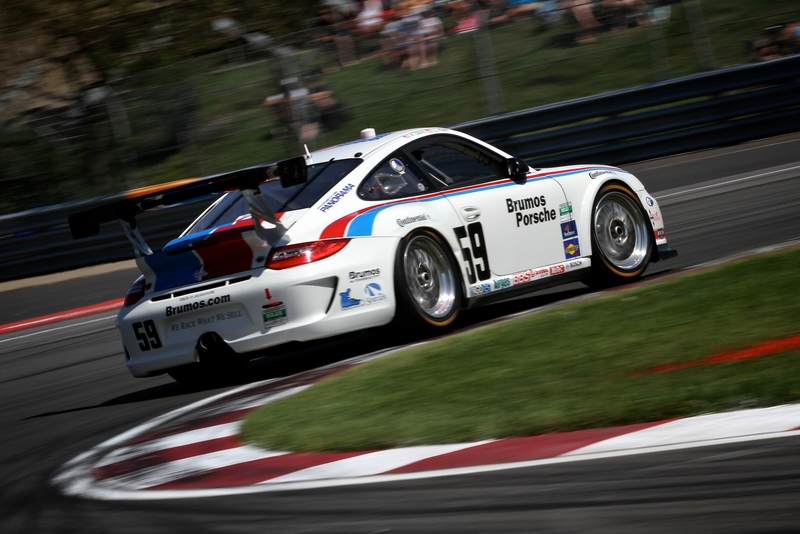 Andrew Davis and Leh Keen won the Grand-Am GT Championship with a Porsche 911 GT3 Cup fielded by the famed Brumos Racing team. 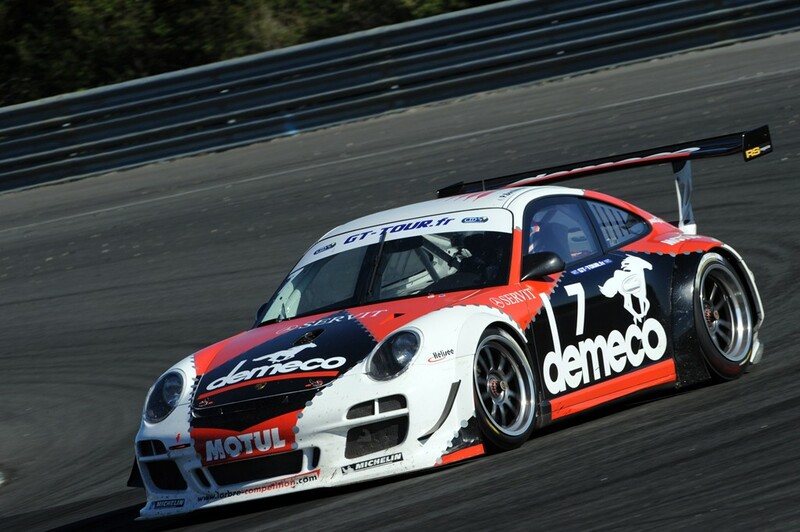 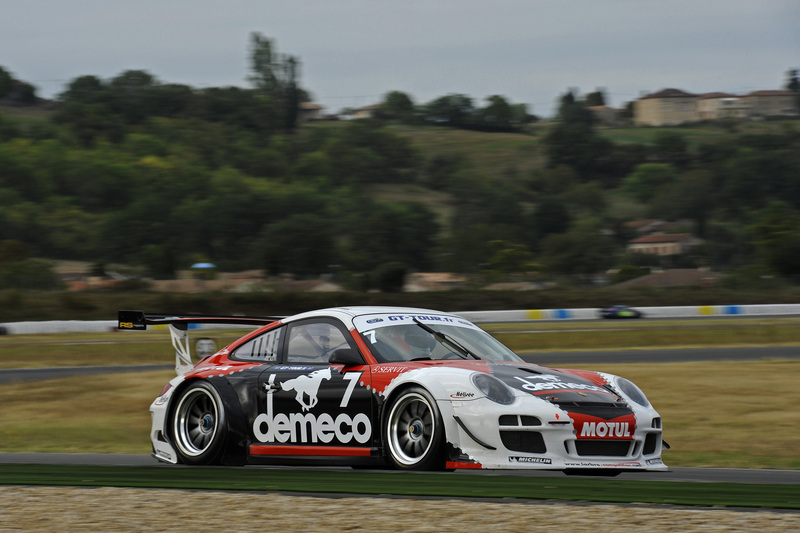 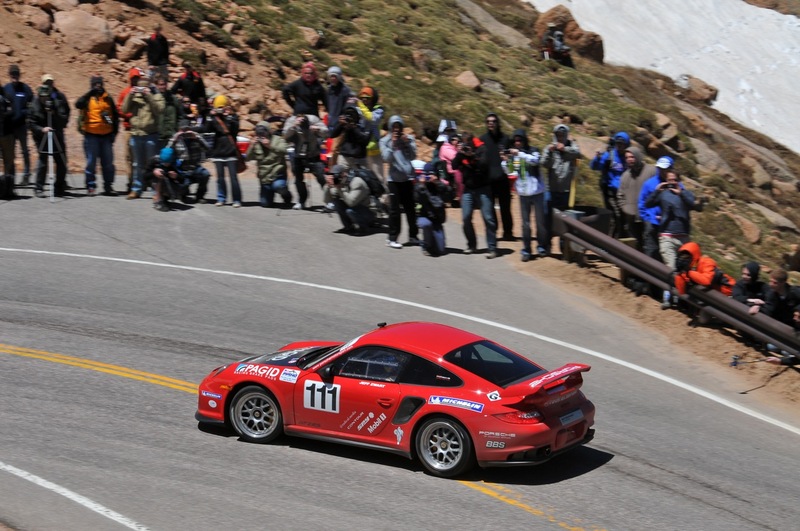 Porsche 911 GT3 Cup, Brumos Racing: Andrew Davis, Leh Keen. 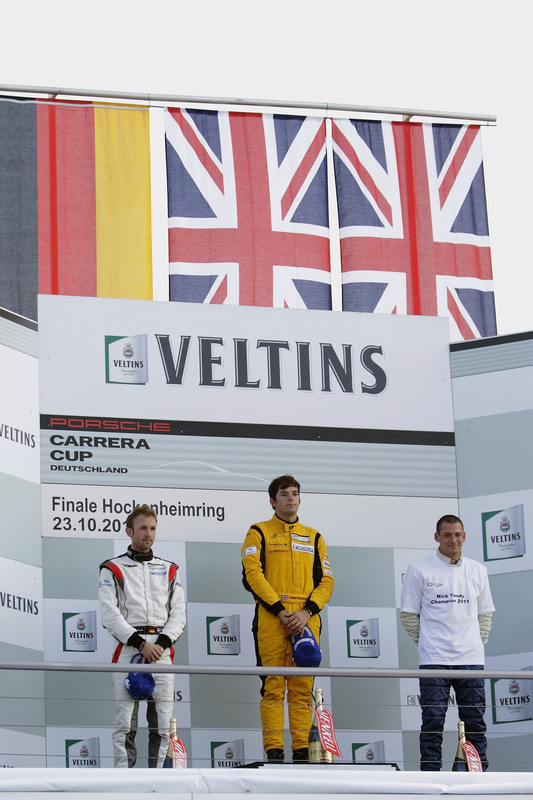 After the twelfth and final race (17 September) of a dramatic season, the first three driver pairings were separated by a mere four points. 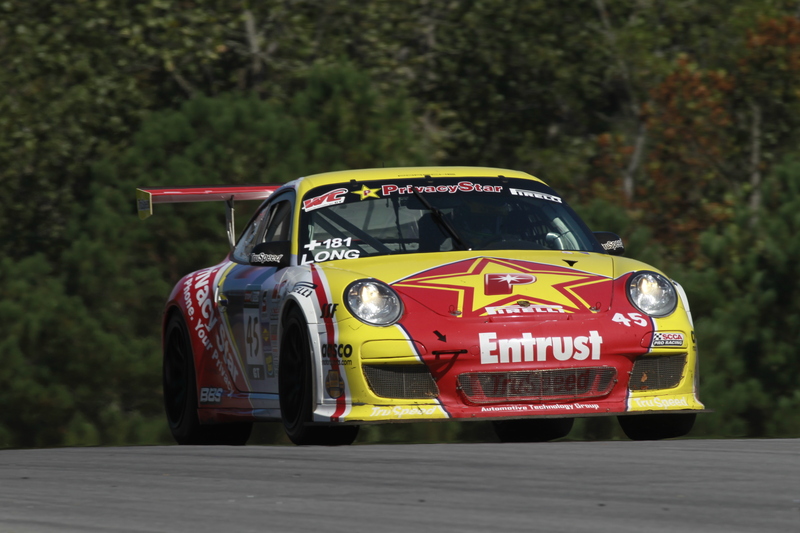 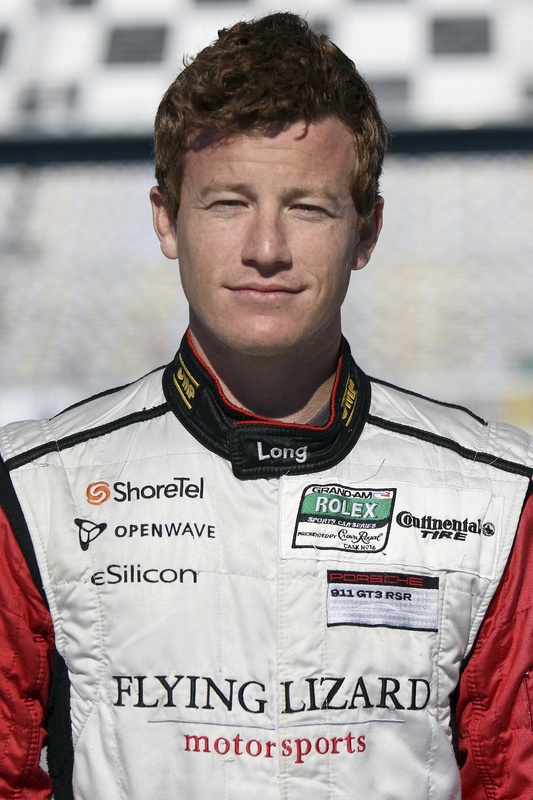 Works driver Patrick Long won the GT Championship title driving TruSpeed’s 911 GT3 Cup, which handed the squad the team championship. 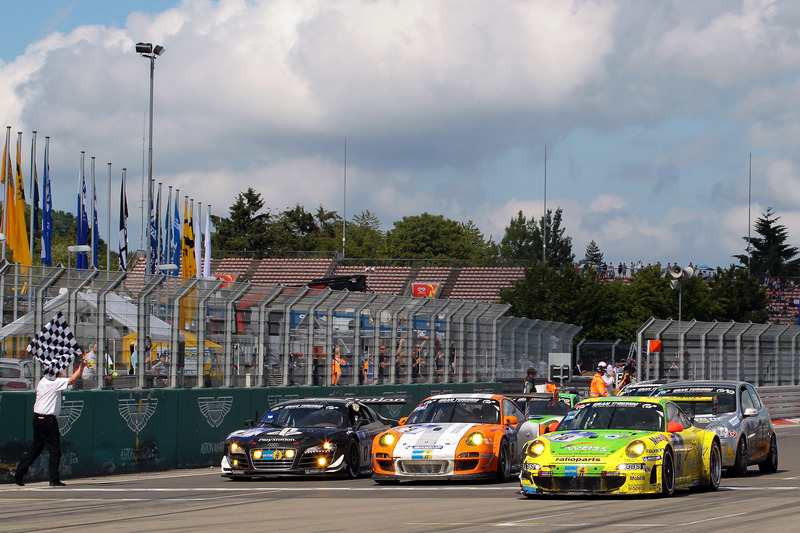 Porsche took home the manufacturers’ title. 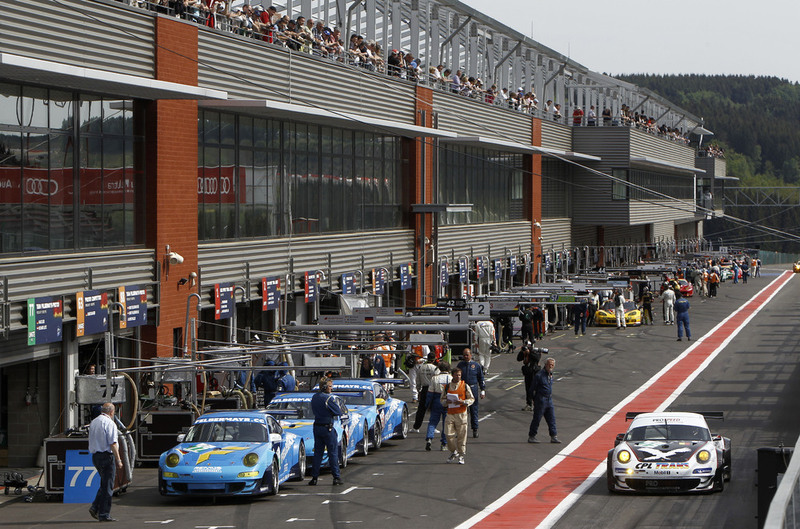 After 72 gripping laps, Marc Goossens and Maxime Soulet came out on top by a nail-biting five hundredths of a second over a Ferrari at the last race of the Belcar Endurance Championship in Spa (23 October). 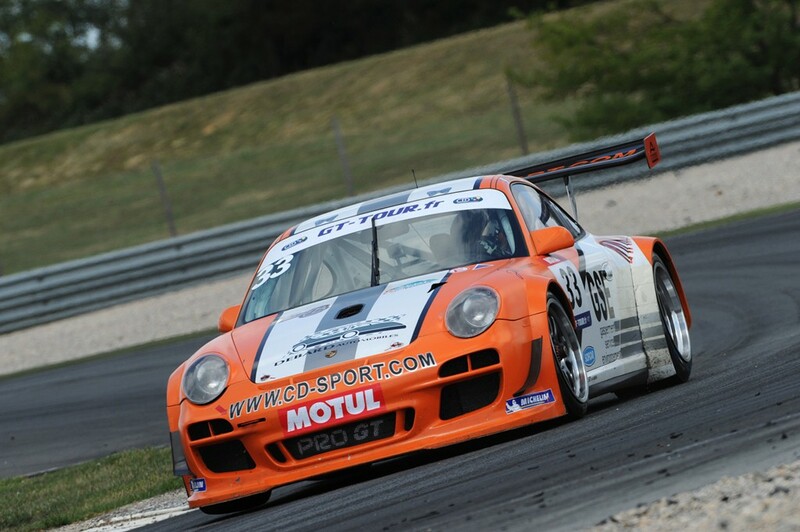 The Belgians had already taken the championship title early with a victory in Prospeed Competition’s Porsche 911 GT3 R on the first weekend in October at the penultimate round in Zolder. 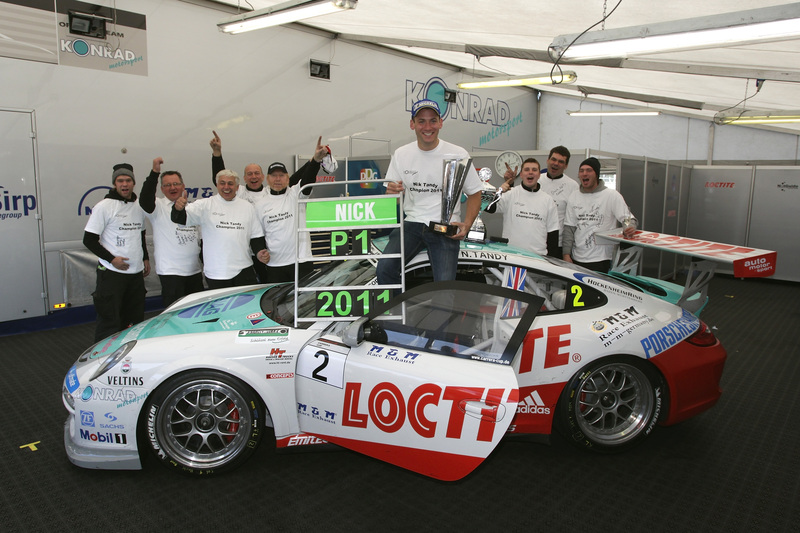 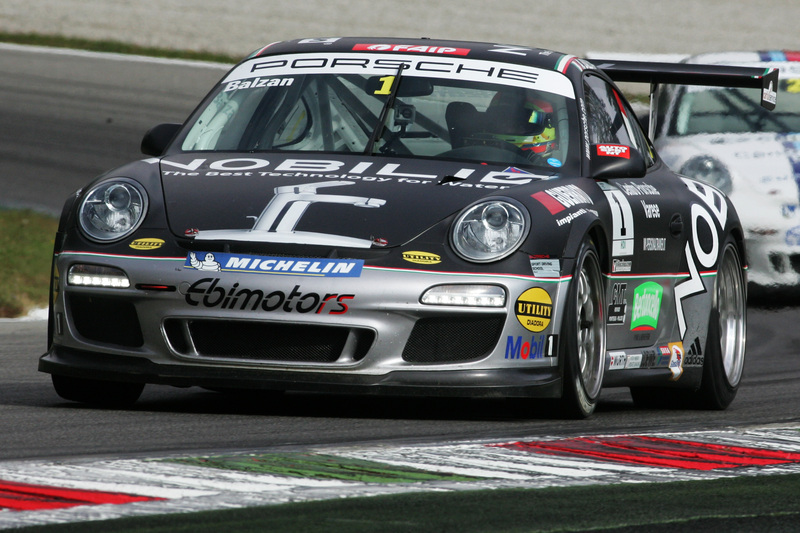 Clinching vice-championship honours in the GTS class for GT3 race vehicles, the 2011 season ended successfully for Gianluca Roda. 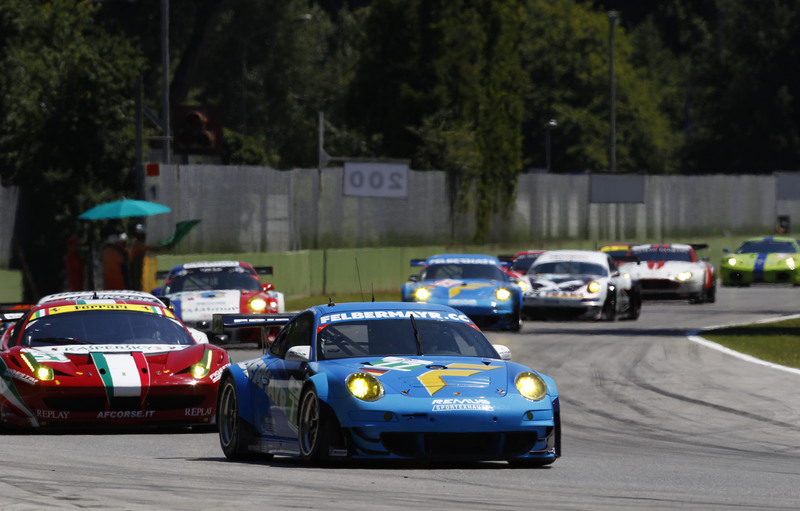 At the wheel of Autorlando Sport’s Porsche 911 GT3 R, Roda had won both races at the penultimate weekend in Monza. 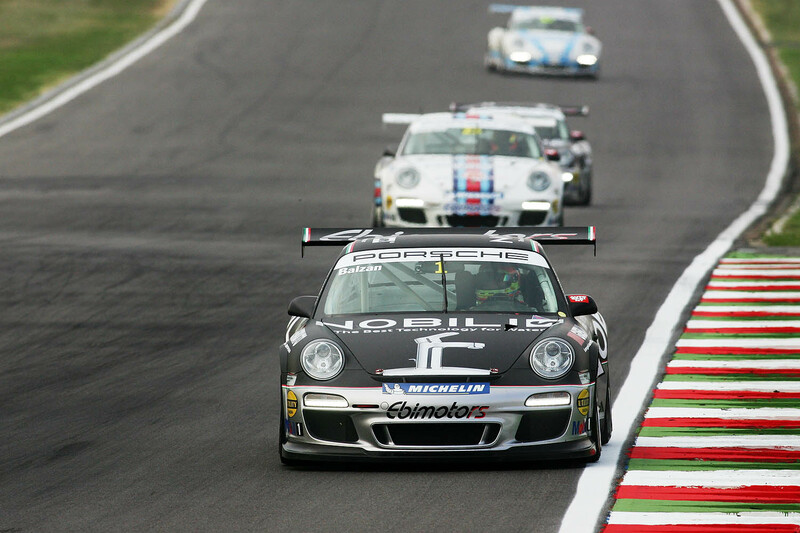 One point shy of the leader in second, he travelled to the finale on the Circuit de Cataluña near Barcelona (29/30 October), but his retirement from the second race after finishing the first in fourth robbed him of his title chance. 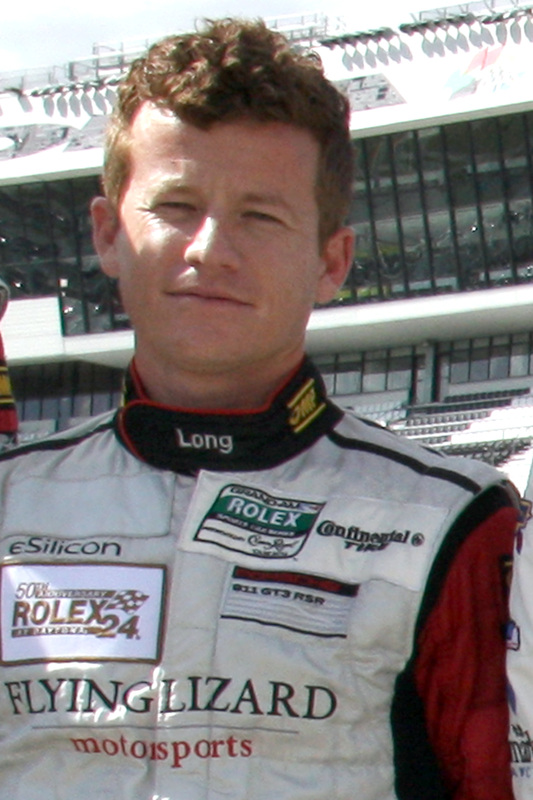 Autorlando Sport ranks second in the team championship. 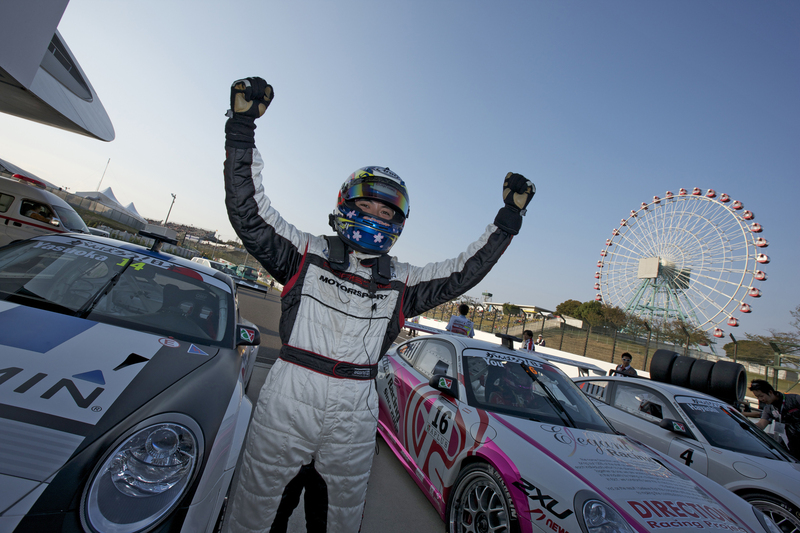 Tomonodu Fujii and Masami Kageyama secured second place from the eighth and final event on the Twin Ring Motegi (15/16 October). 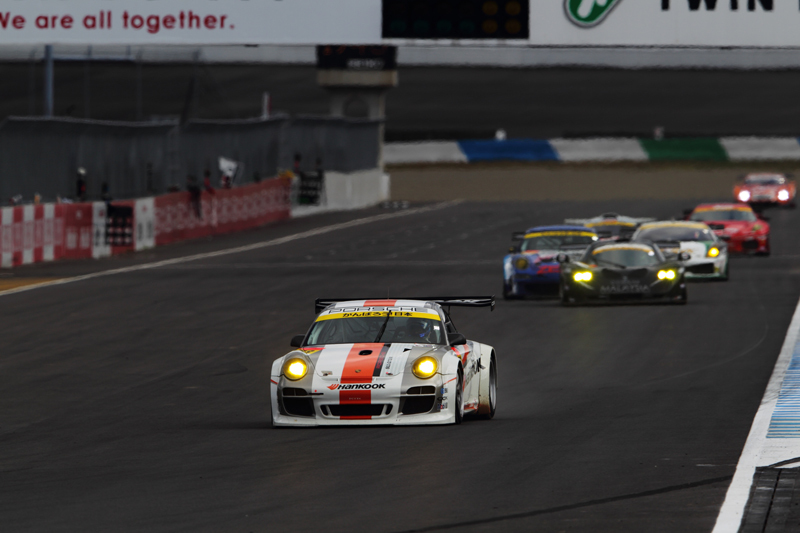 The pair took up the race from the pit lane after their Hankook KTR Porsche 911 GT3 R underwent repairs shortly before the start. 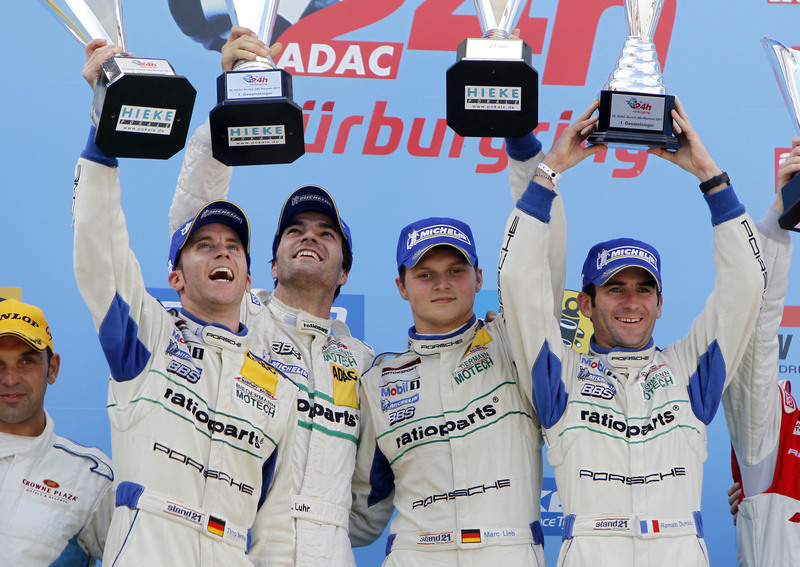 The squad and its drivers brought their first year of competition to a successful conclusion with an impressive third place in the championship. 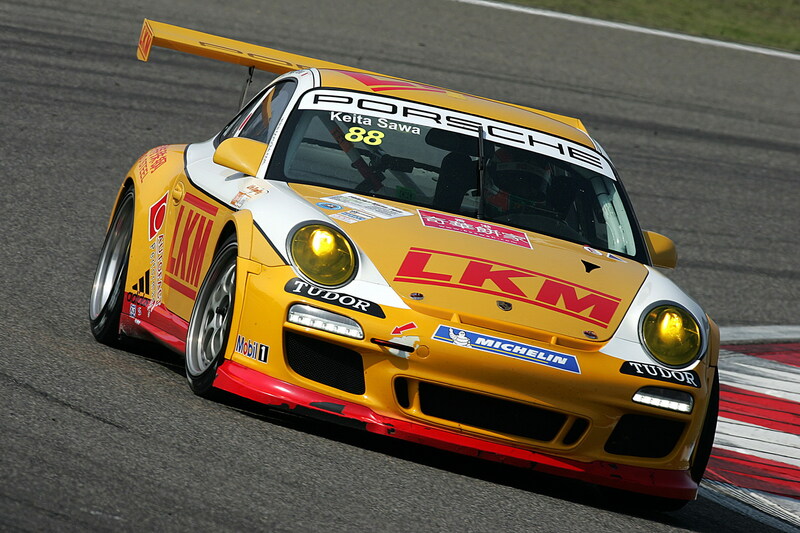 Definitely not for the faint-hearted: At the twelfth and final race on the Shanghai International Circuit (23 September), 26-year-old Keita Sawa from Japan snatched third place and the championship title in the Porsche 911 GT3 Cup of LKM Racing with a difference of just one-point over Rodolfo Avila (Team Jebsen) from Macao. 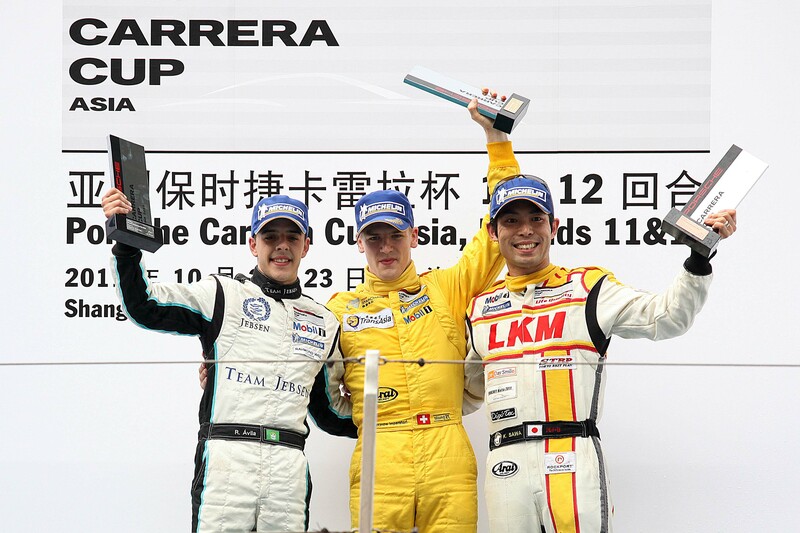 Third overall in the fiercely-competitive Cup went to Alexandre Imperatori. 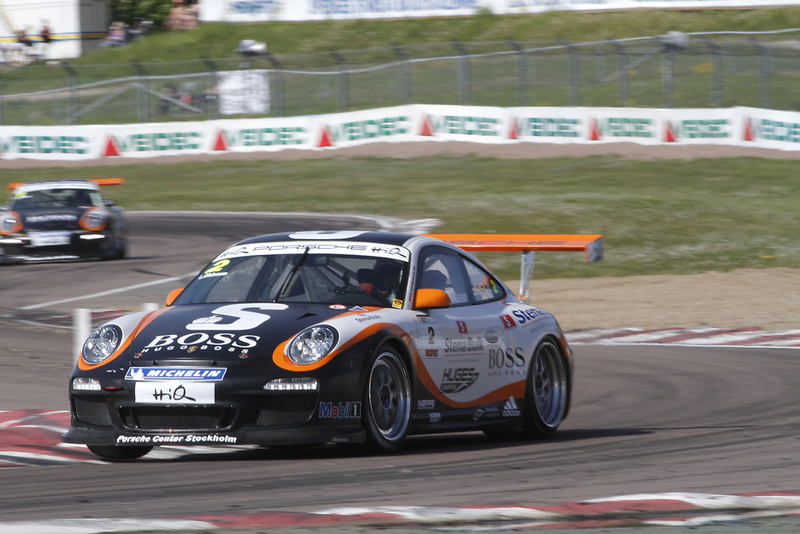 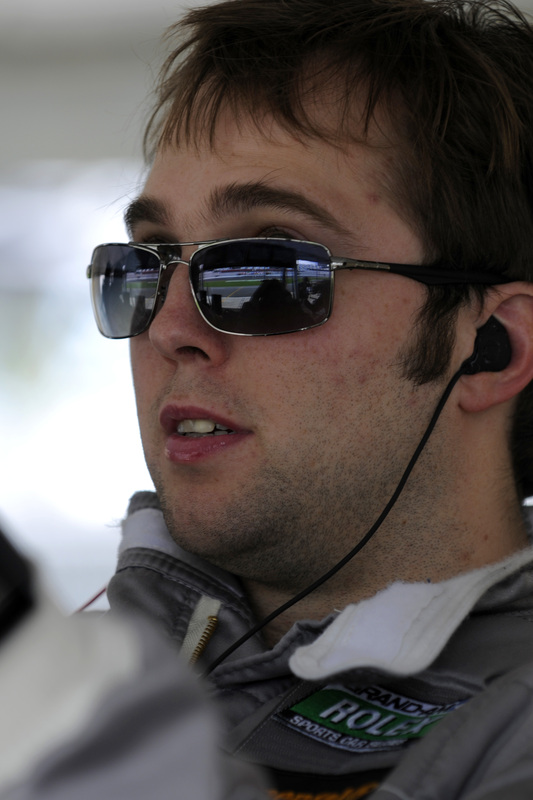 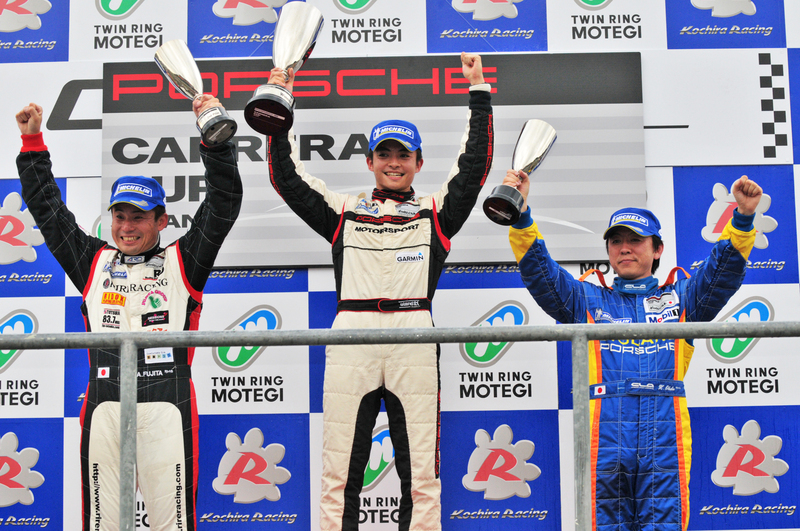 With three wins, four other podium results, a fifth place and just one retirement, last year’s runner-up Nick Tandy from Great Britain (26) claimed the championship title in a Porsche 911 GT3 Cup run by Konrad Motorsport. 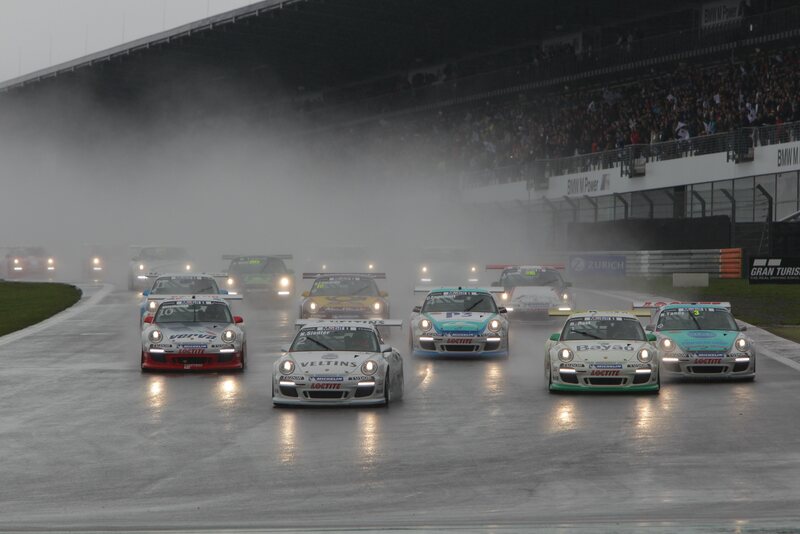 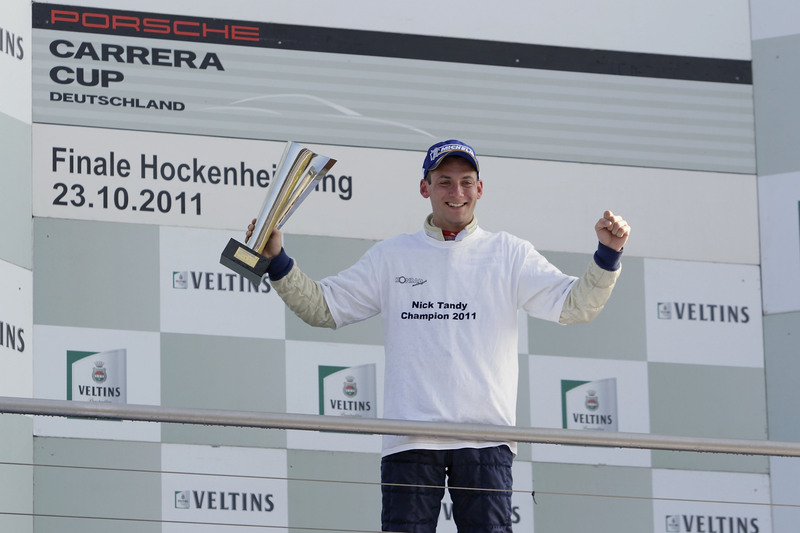 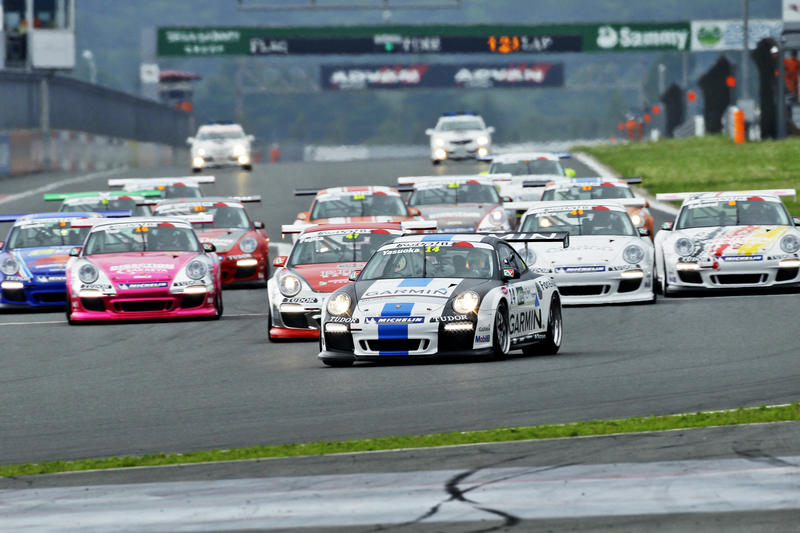 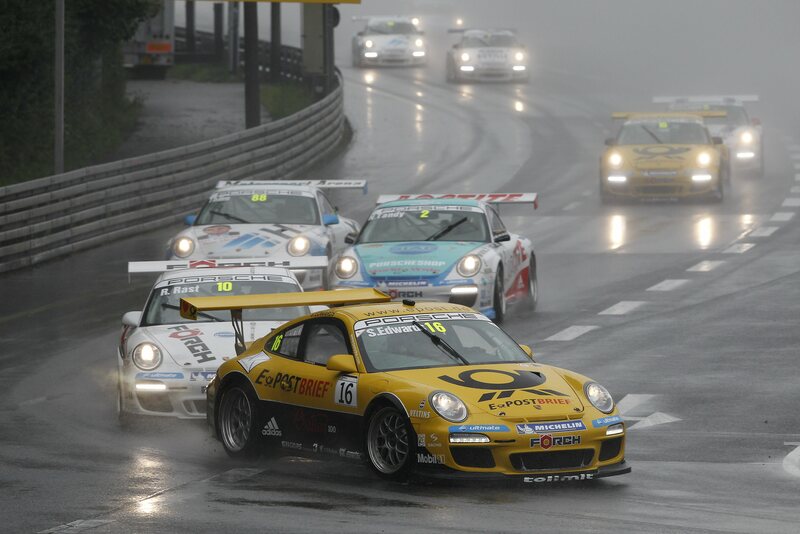 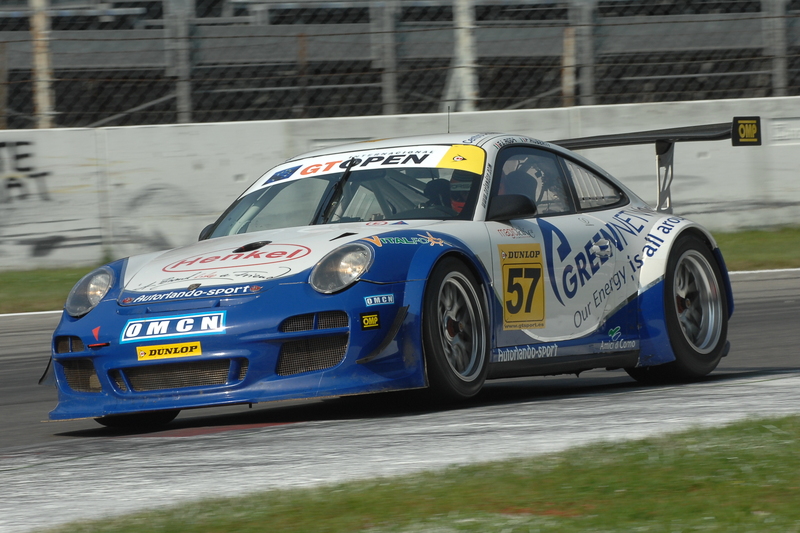 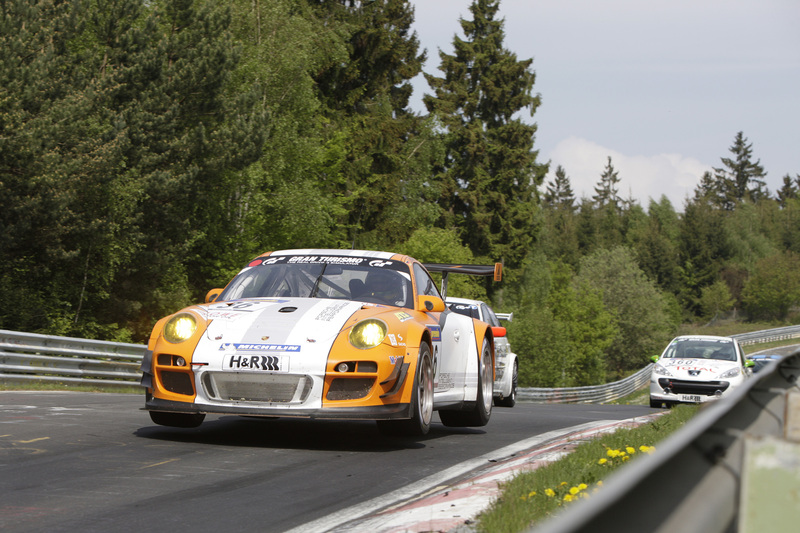 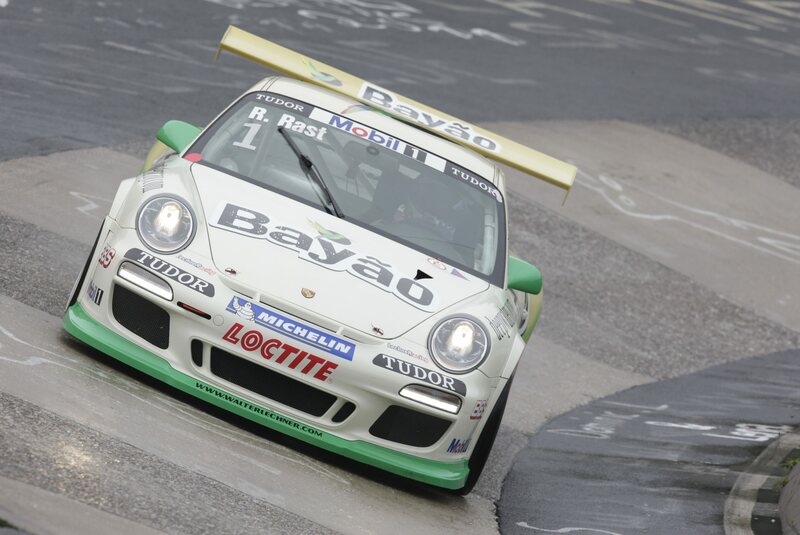 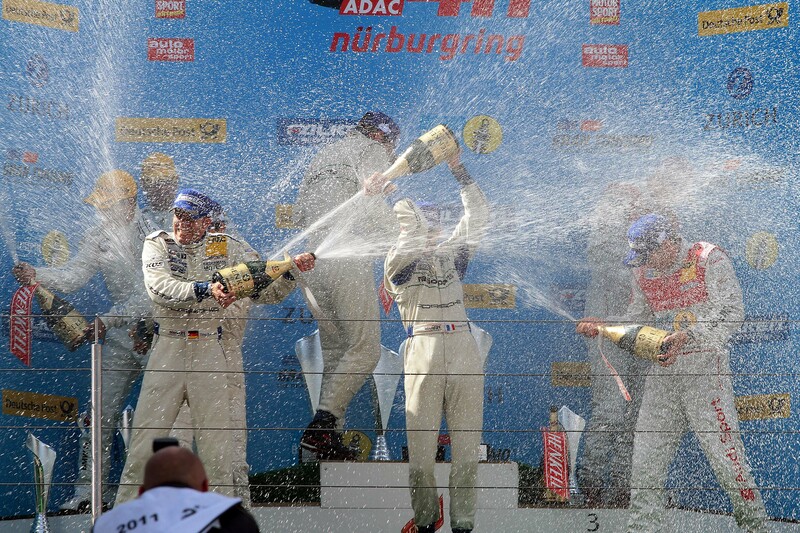 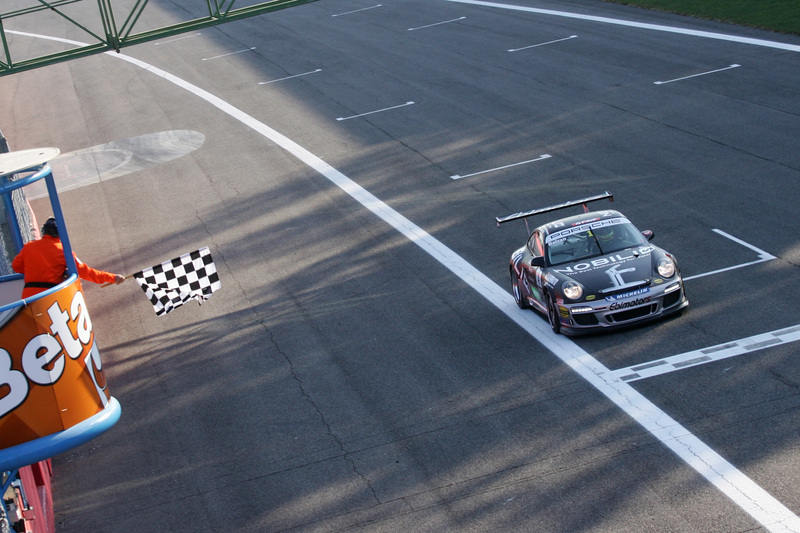 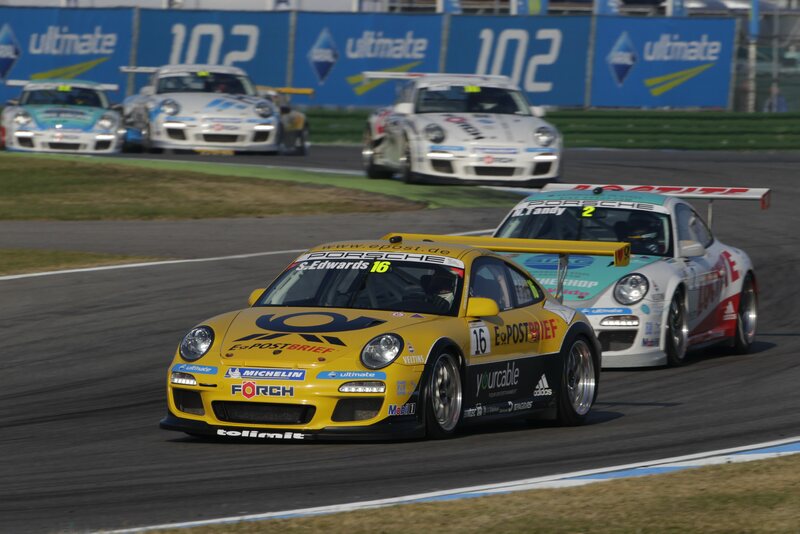 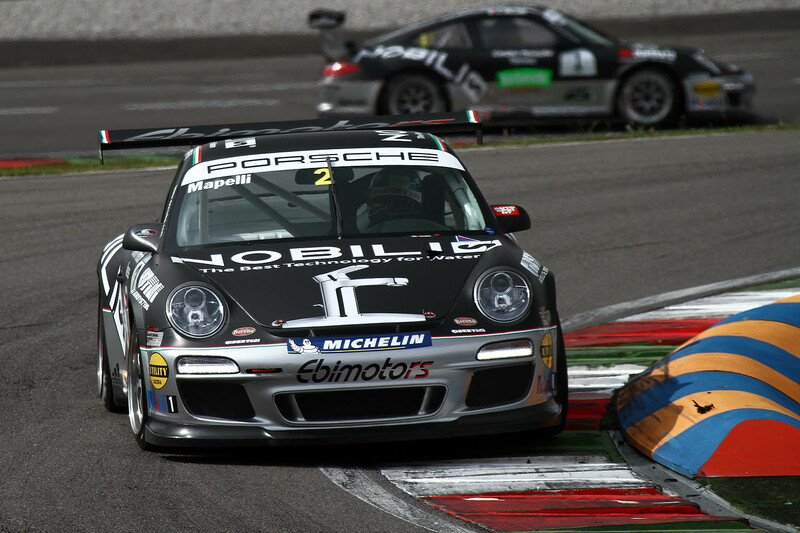 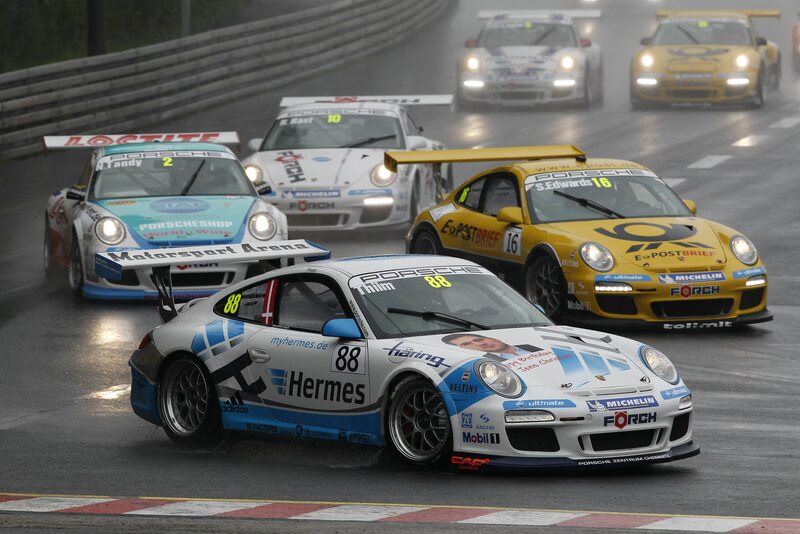 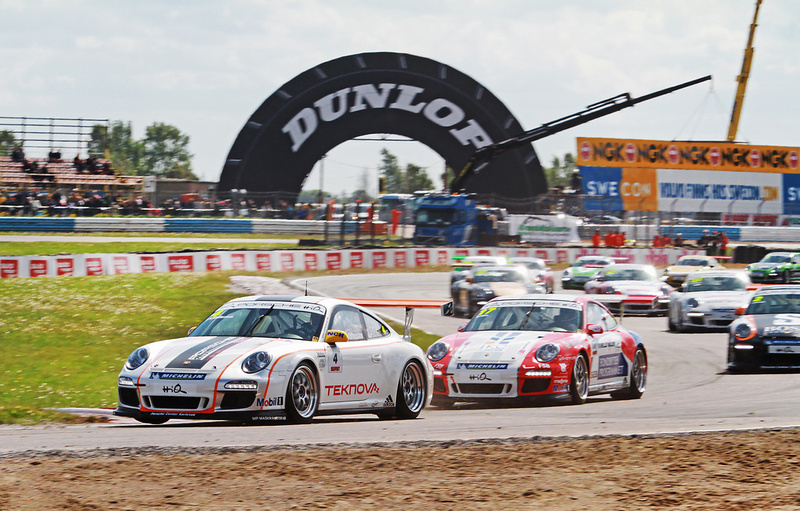 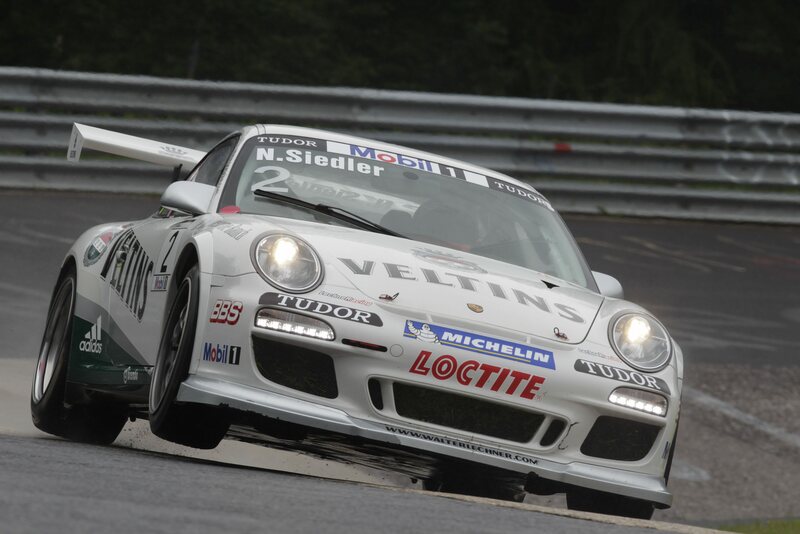 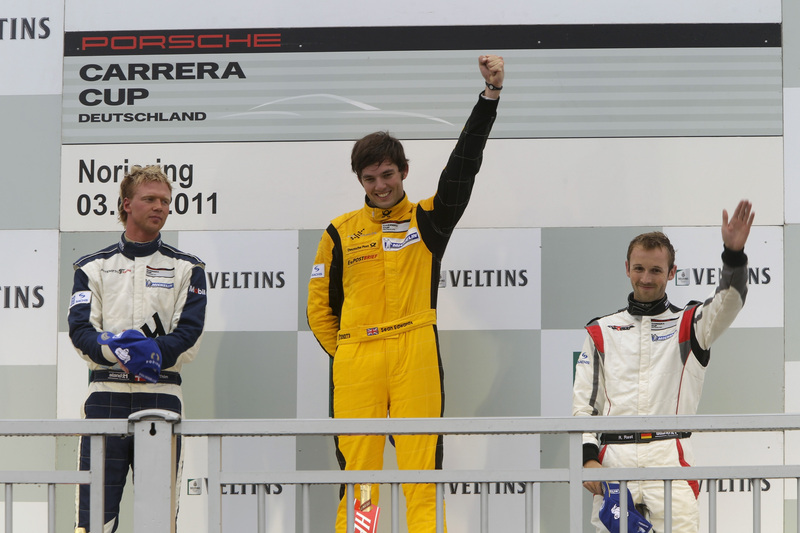 Tandy is the first British driver to take home the title in the 22-year history of the German Carrera Cup. 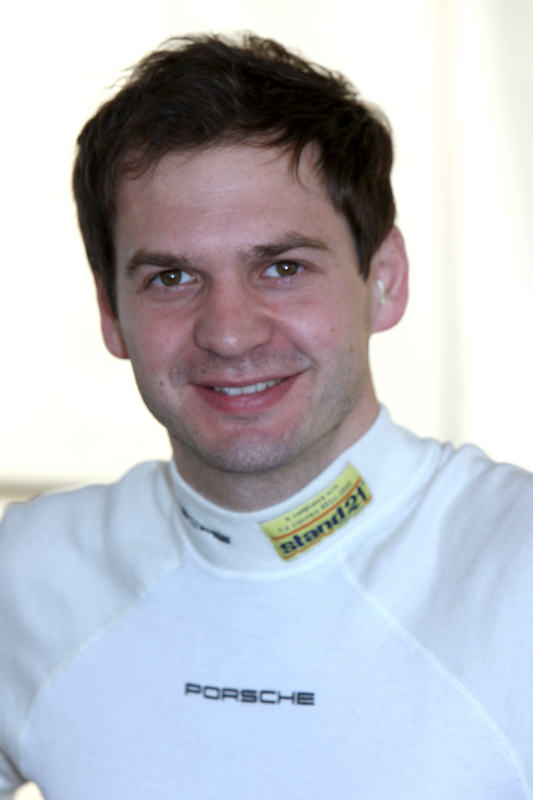 Vice-championship honours went to his compatriot Sean Edwards, whose performance contributed to his Deutsche Post by tolimit crew securing the team championship. 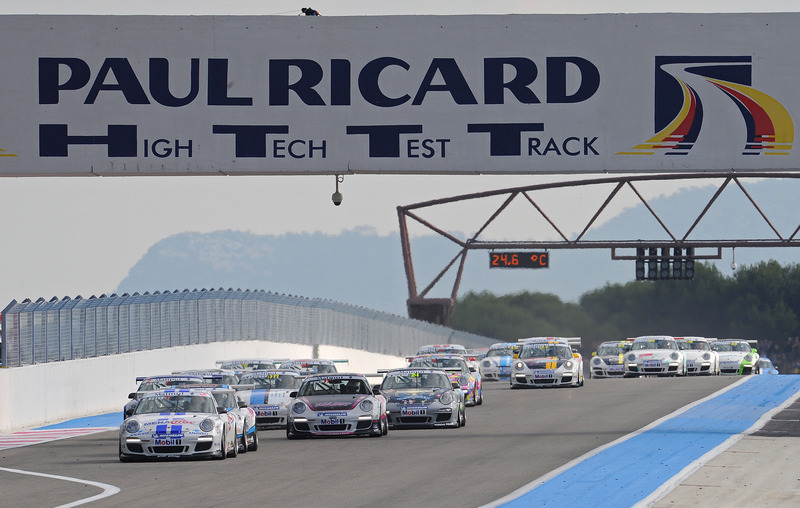 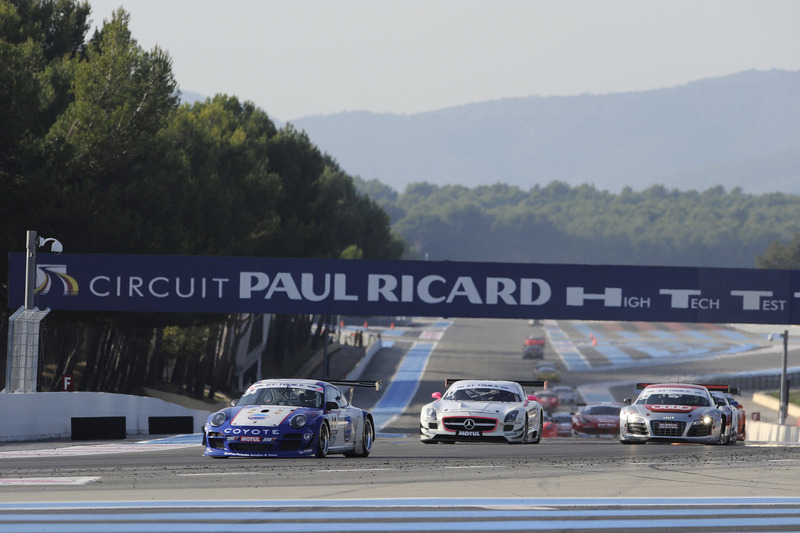 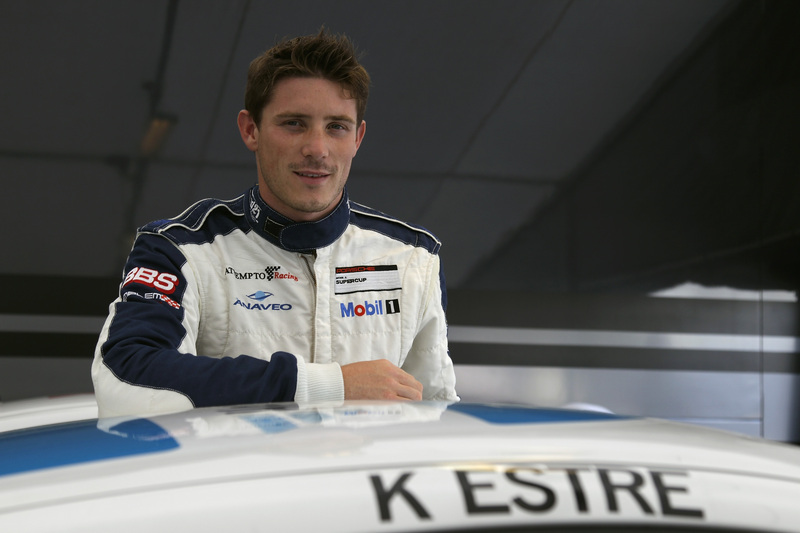 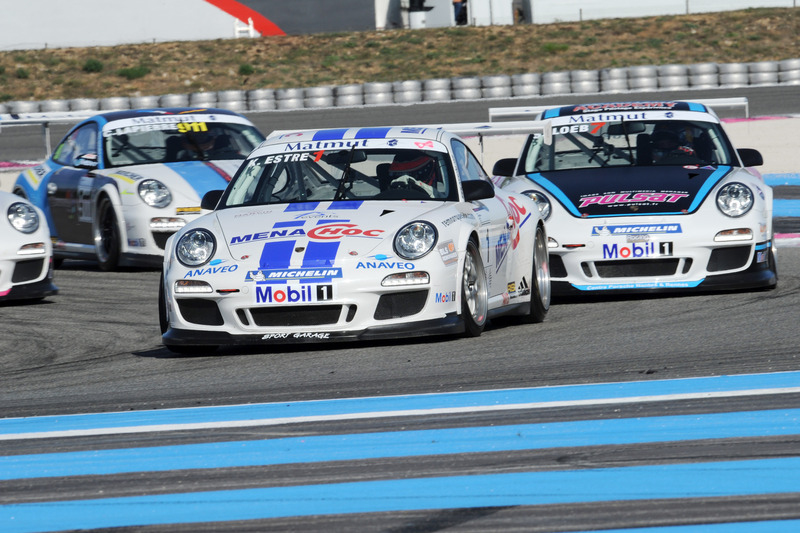 From the guest appearance of the Carrera Cup France in Nogaro in the southwest of France late April to the final race in Le Castellet at the end of October (29 October), Kévin Estre pocketed ten consecutive wins in the Porsche 911 GT3 Cup fielded by AS Events. 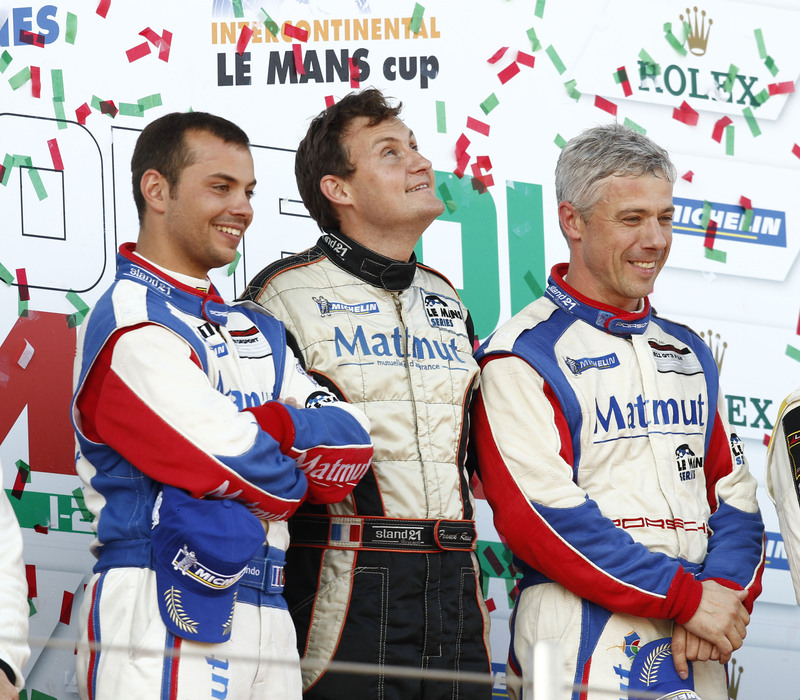 After this string of successes, the 23-year-old new champion from Lyon ranks 113 points ahead of second-placed Sylvain Noël. 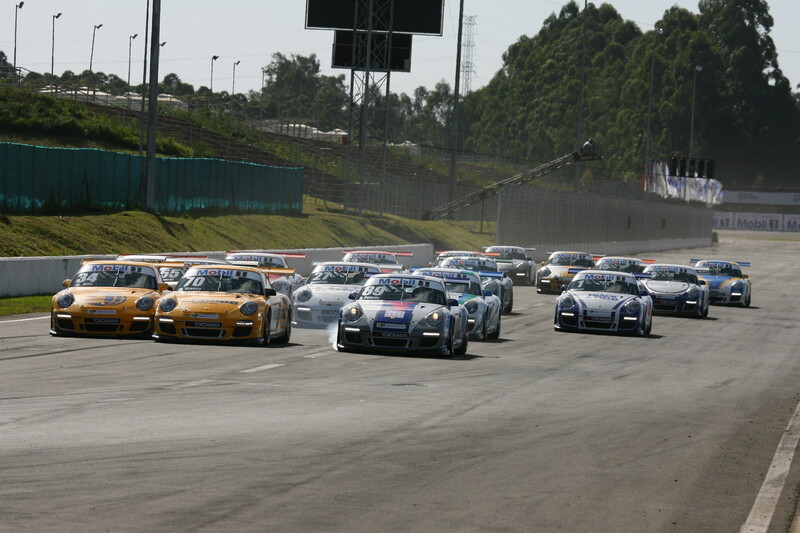 A total of twelve races made up the 2011 calendar. 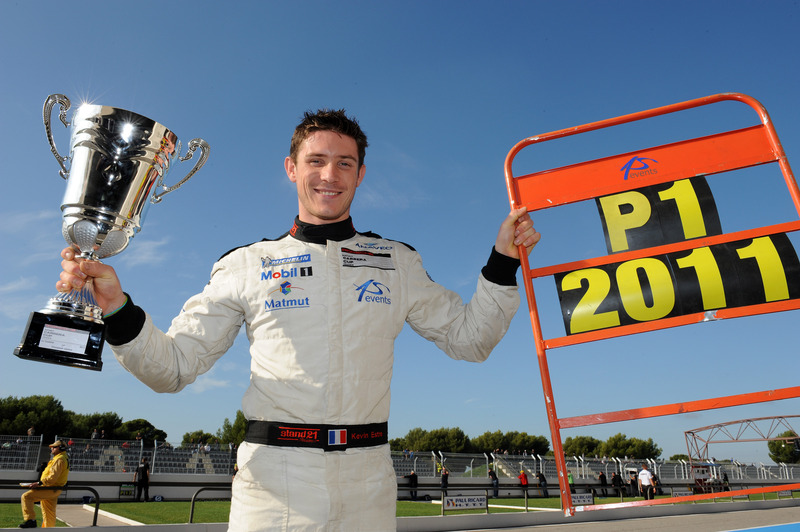 After 19 races and second place at the final round in Silverstone (16 October), James Sutton (26) once again walked away with the championship. 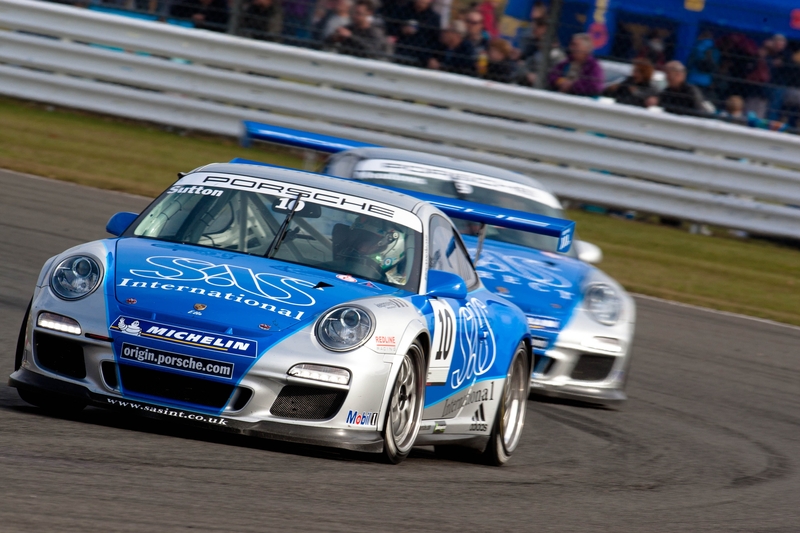 The SAS/Redline pilot, who was also the champion of the Carrera Cup Great Britain in 2007, wrapped up a thrilling year with a seven-point lead over his teammate Michael Meadows, who was forced to pit with a faulty tyre during the decisive final round. 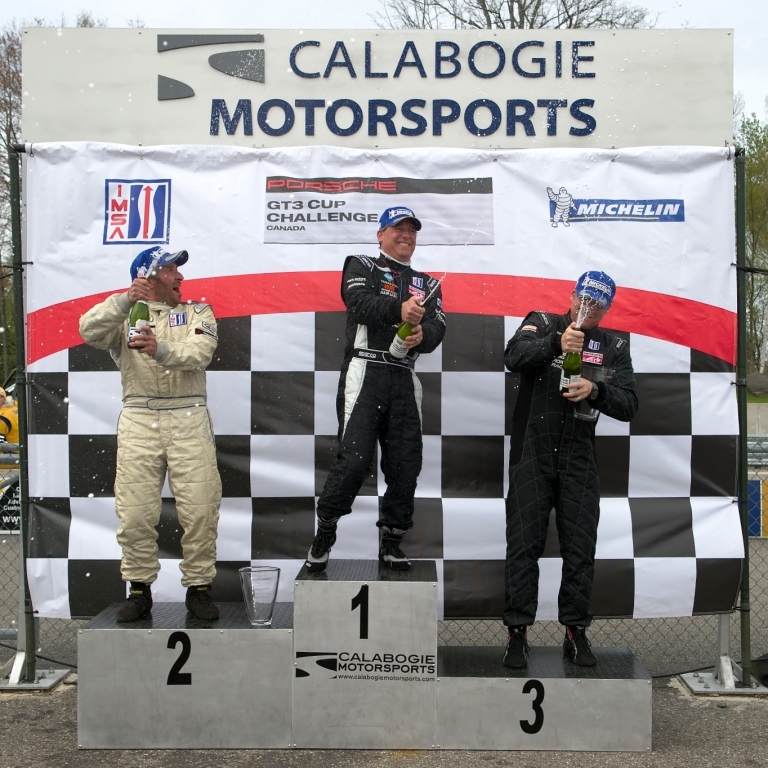 SAS/Redline won the team title, Nick Tandy won the last race. 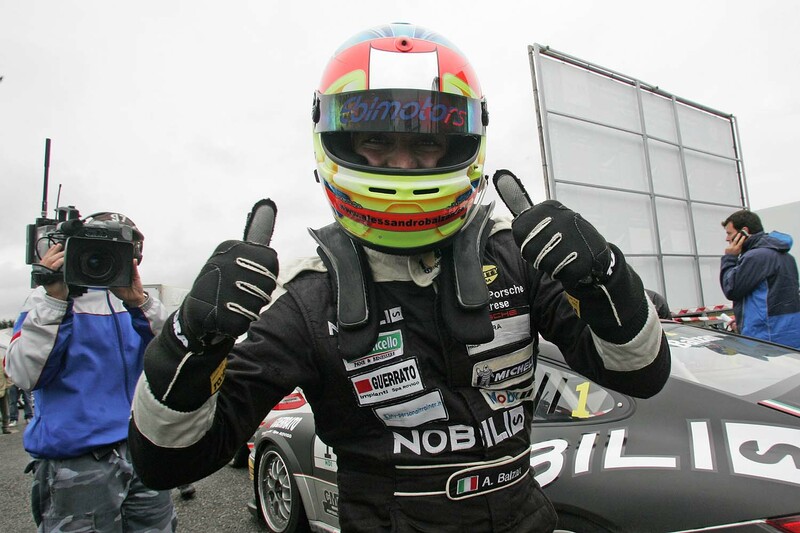 At the penultimate race weekend in Vallelunga (16/18 September), Ebimotors pilot Alessandro Balzan picked up an early title win. 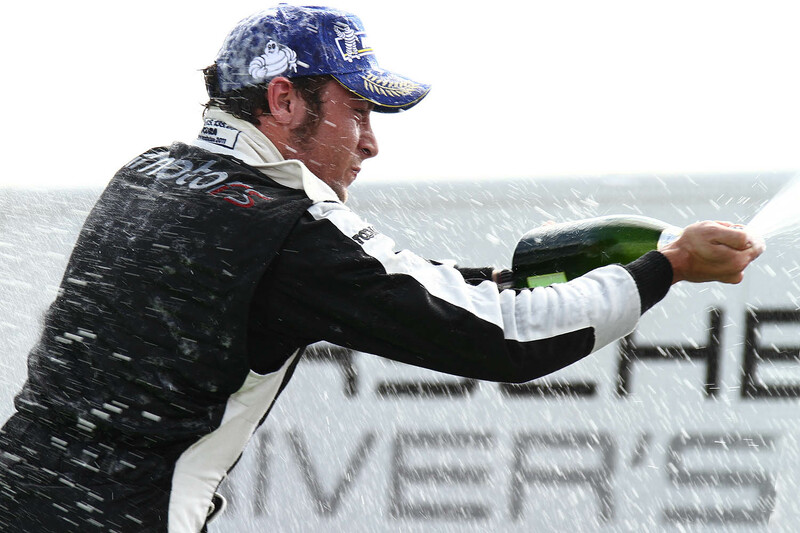 Still, with the second straight championship title under his belt, this didn’t prevent the 31-year-old from keeping up the pressure. 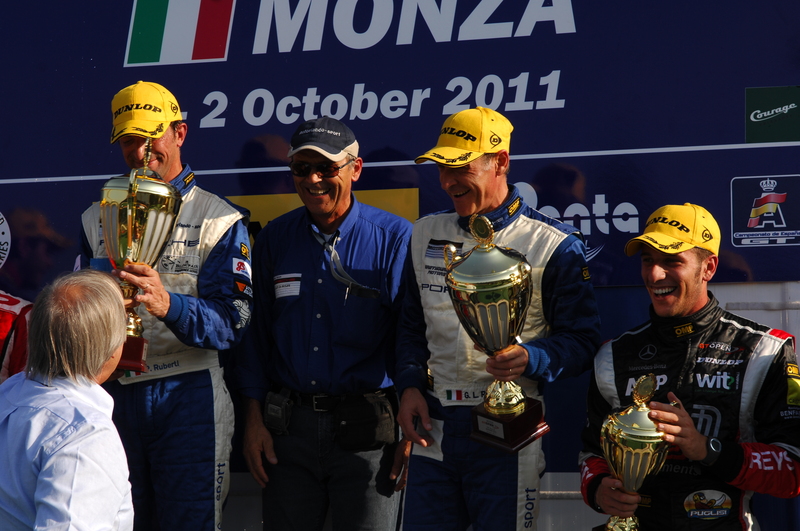 Balzan pocketed victory number seven and eight at the final meeting in Monza (15/16 October). 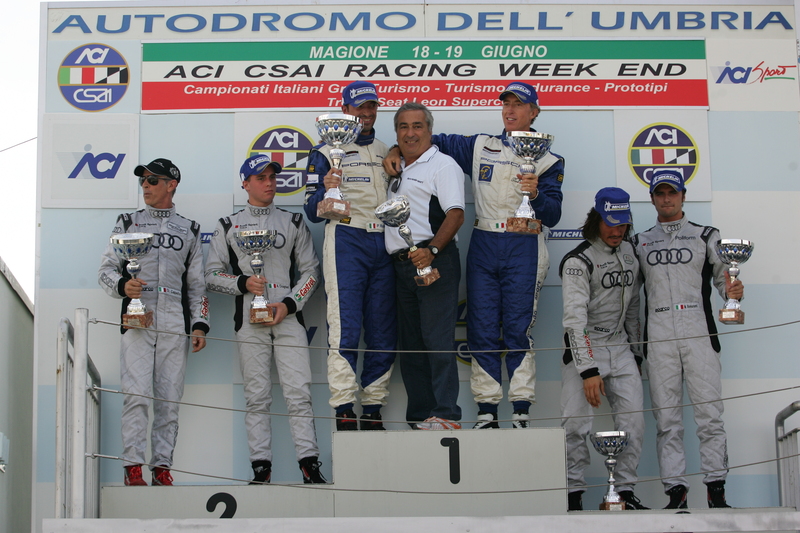 Marco Mapelli was crowned vice-champion. 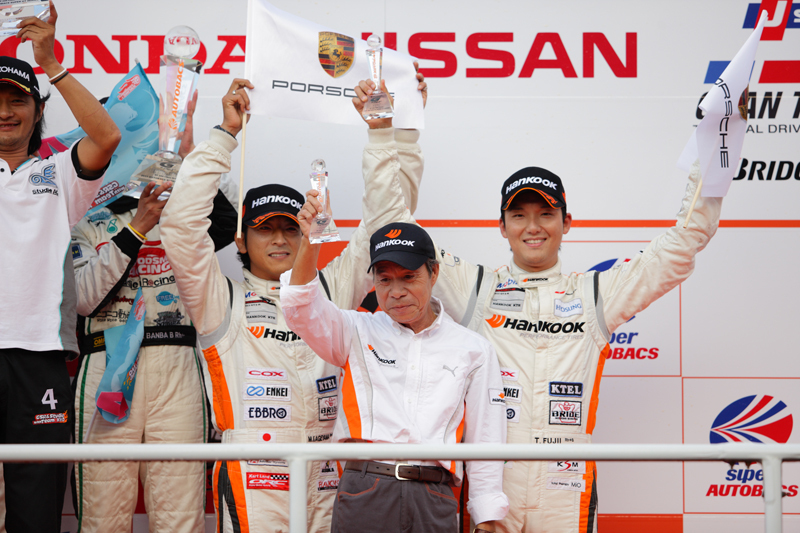 Eleven wins from eleven races: With this immaculate balance, 28-year-old Hideto Yasuoka concluded the season on the Twin Ring Motegi (23 October) as the undisputed champion. 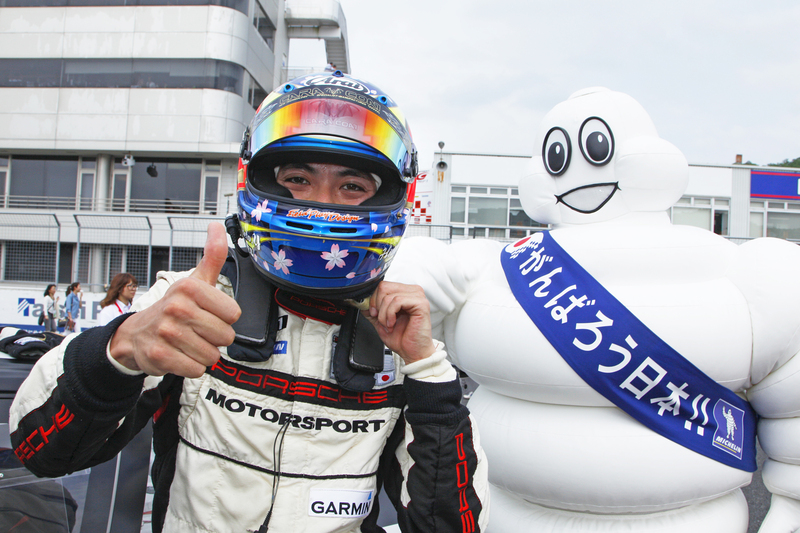 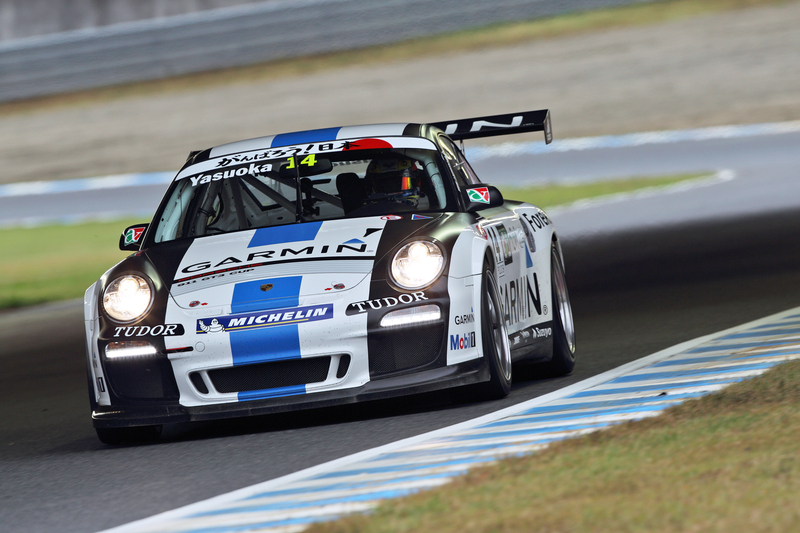 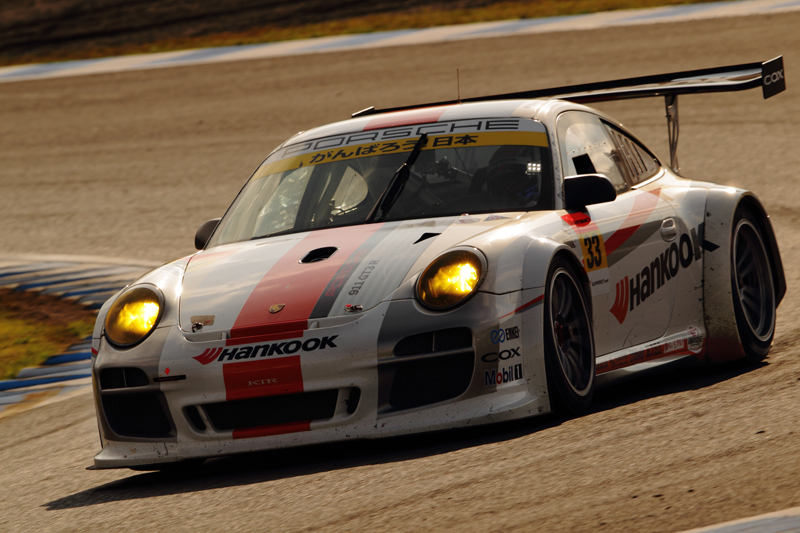 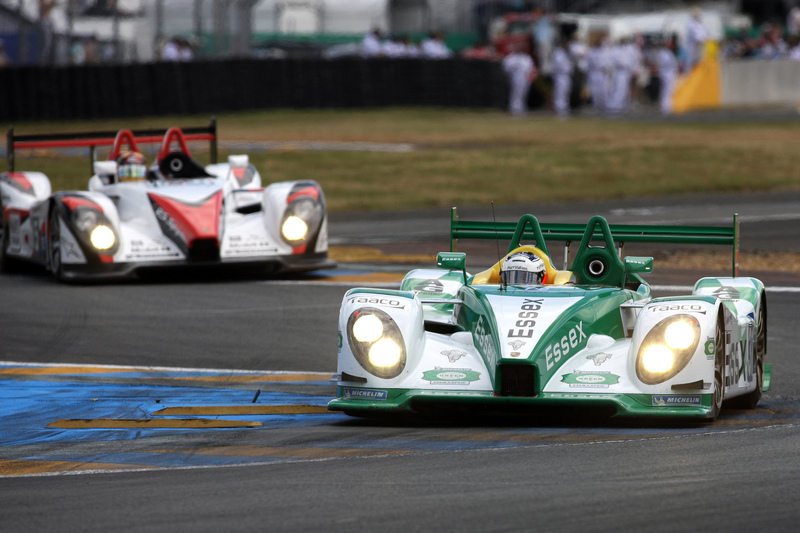 Runner-up behind the Garmin-Porsche pilot, who took up the final round as poleman, was Akira Fujita. 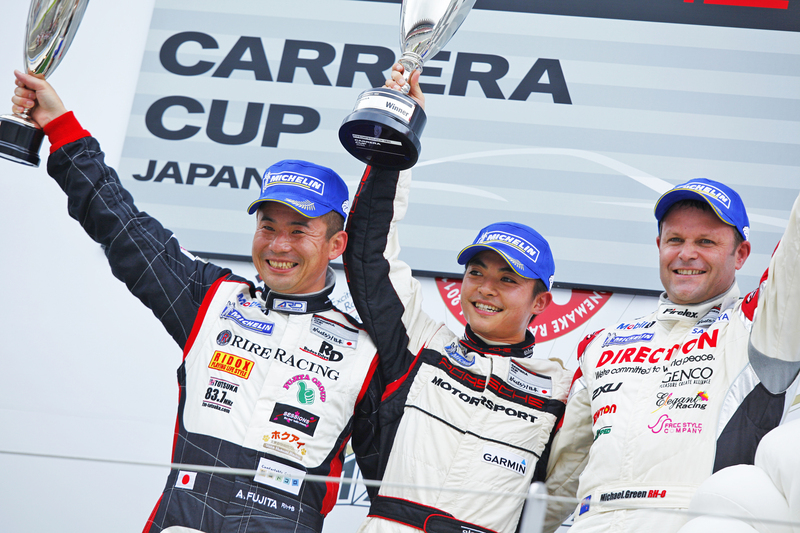 Fujita snatched the vice-championship trophy from Kazuyoshi Takamizawa in a last ditch battle at the final race. 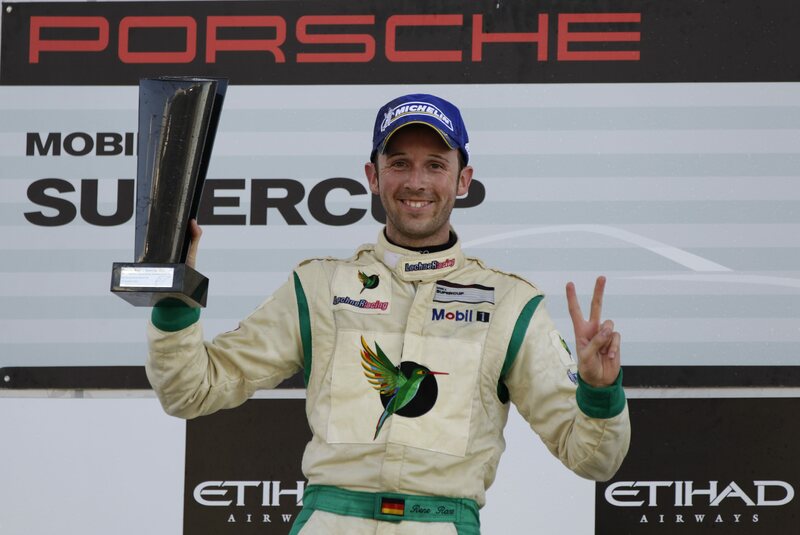 An Austrian kicked off the new season of the GT3 Cup Challenge Middle East with a win on the Dubai Autodrome on the first weekend in November: Clemens Schmid won race one from pole position. 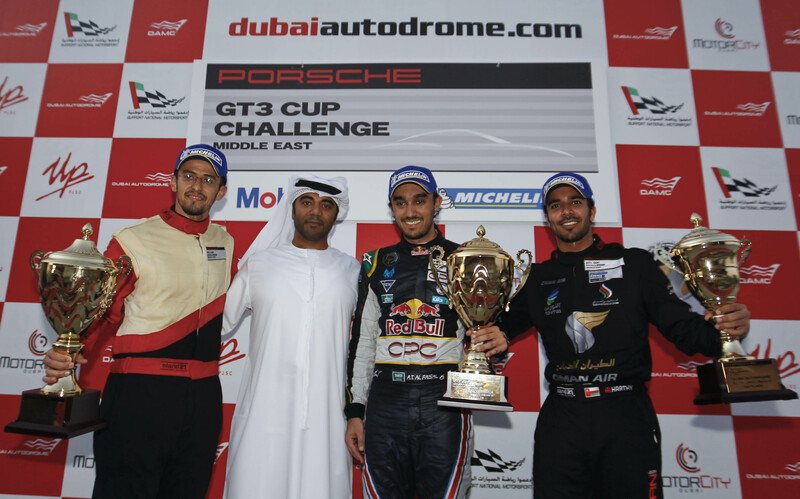 The two-time champion, Prince Abdulaziz al Faisal, came second, but nailed the points’ lead of the drivers’ classification after winning race two of the weekend. 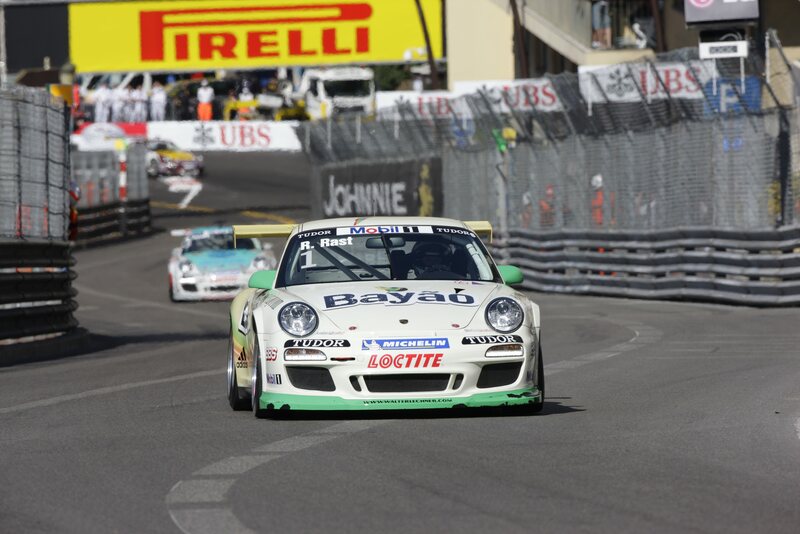 Next meeting: at the Formula 1 Grand Prix in Abu Dhabi (11/13 November). 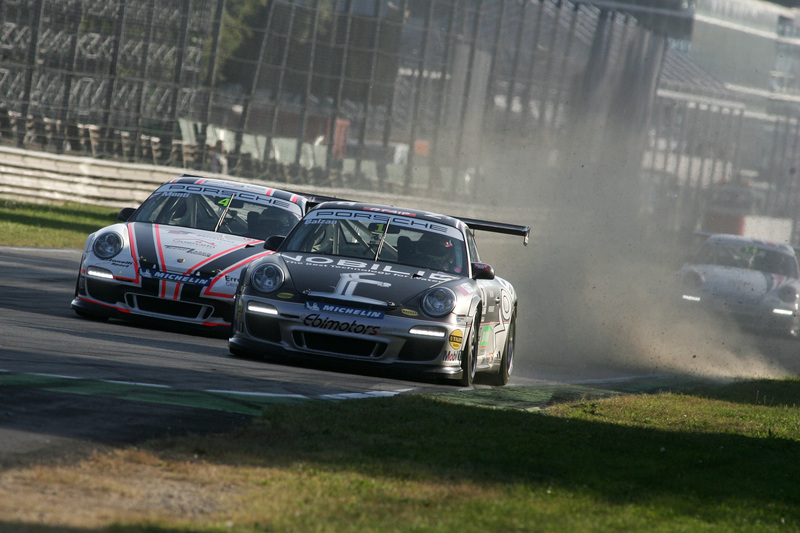 Driving a Porsche 911 GT3 RSR for the Turin-based Victor Racing team, Victor and Giovanni Coggiola win the GT2 title of the Italian GT Championship after seven race weekends. 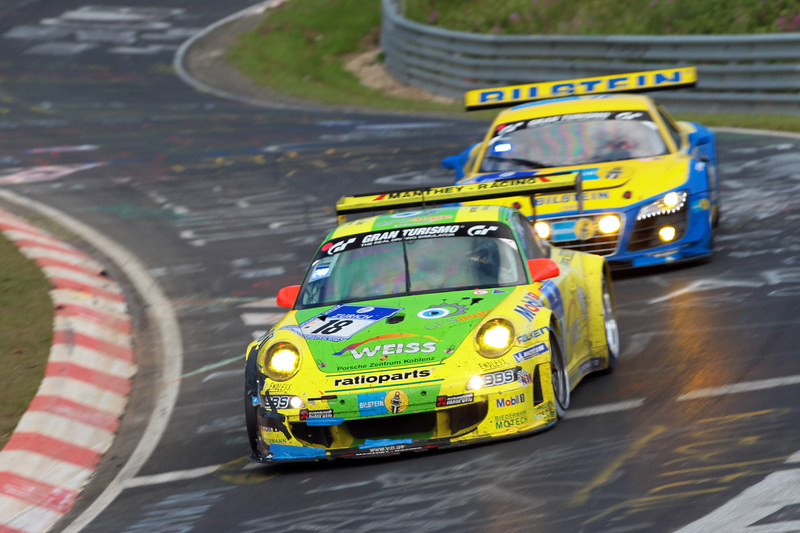 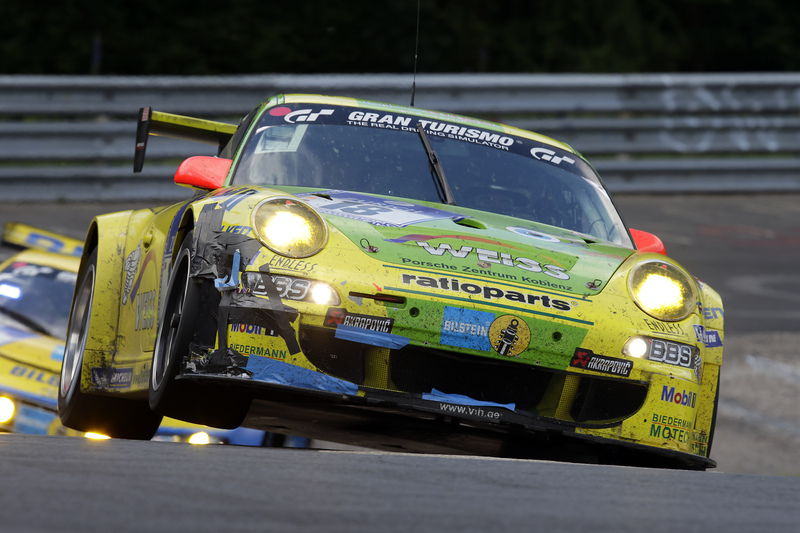 Victory for Lucas Luhr and Arno Klasen in Manthey Racing’s 911 GT3 R at round nine of the Nuerburgring Long Distance Championship (15 October). 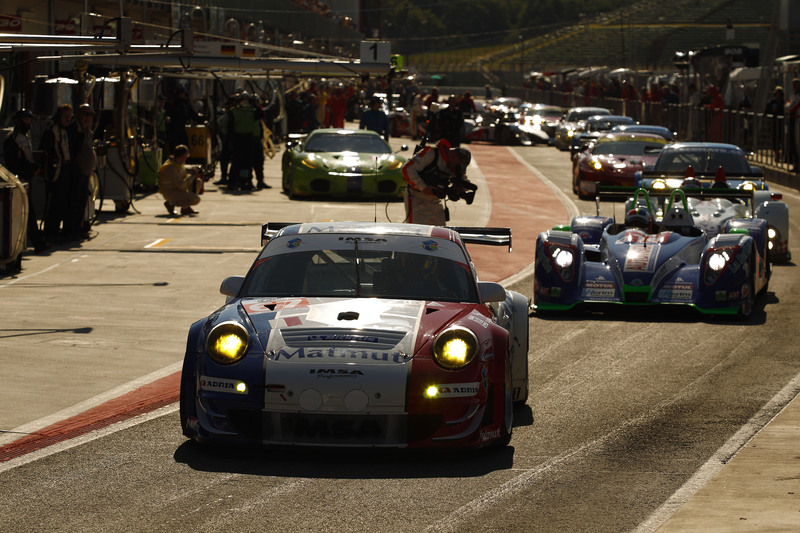 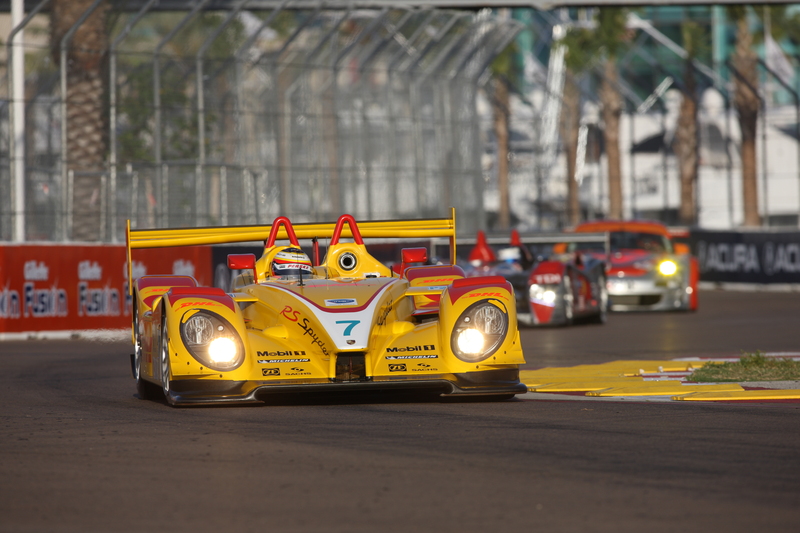 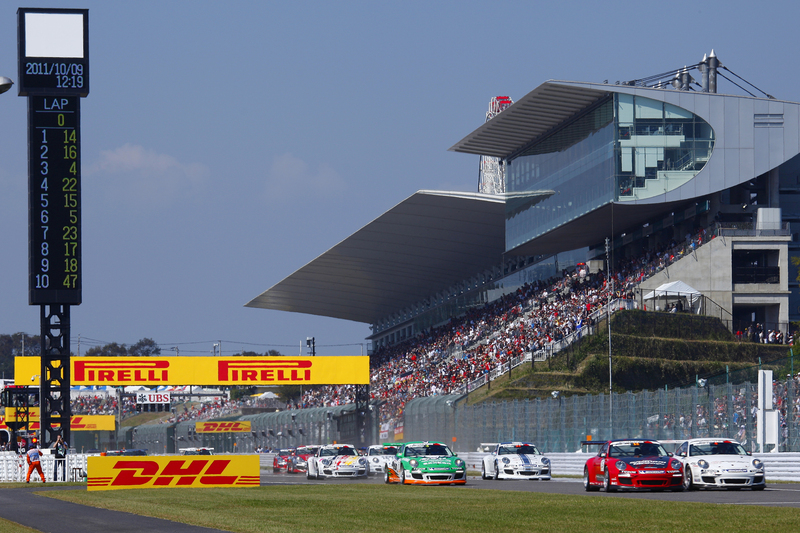 With three wins from a total of ten races, Porsche draws level with Audi on the list of the very best. 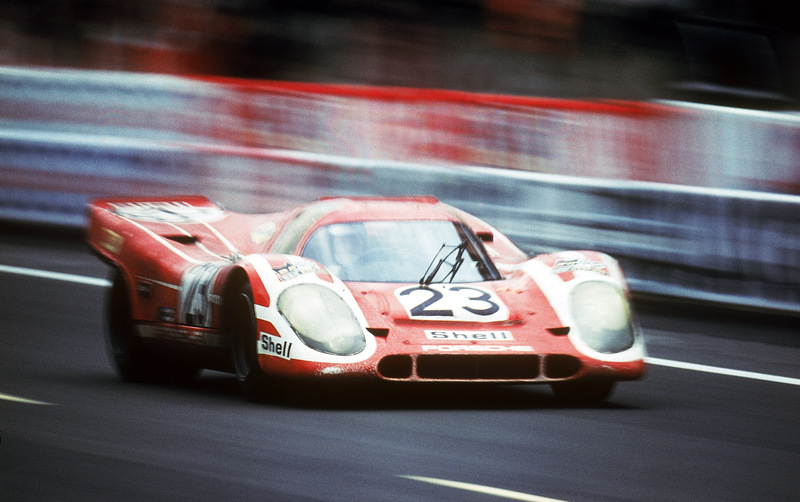 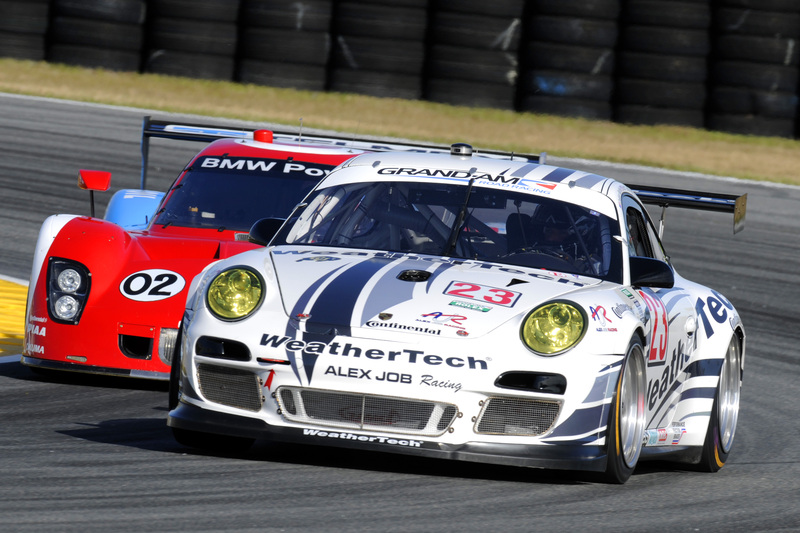 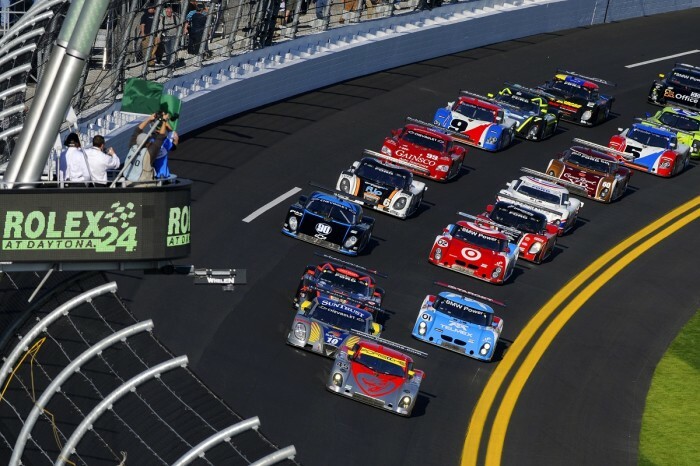 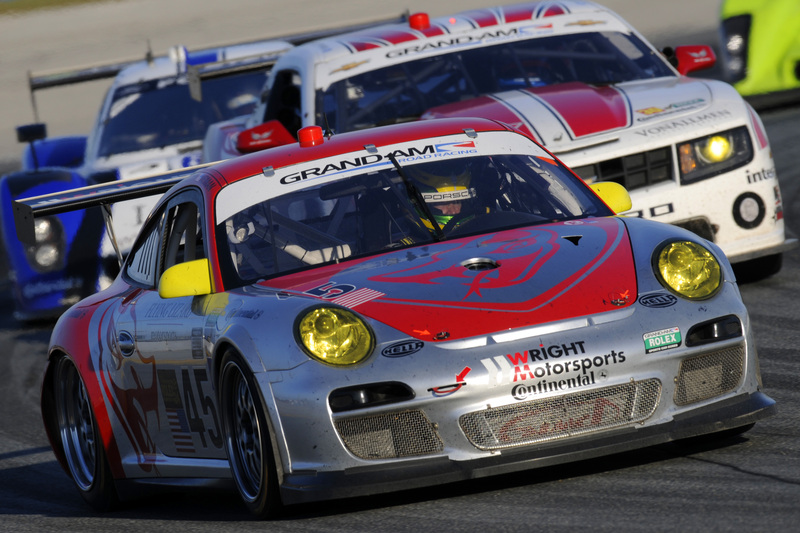 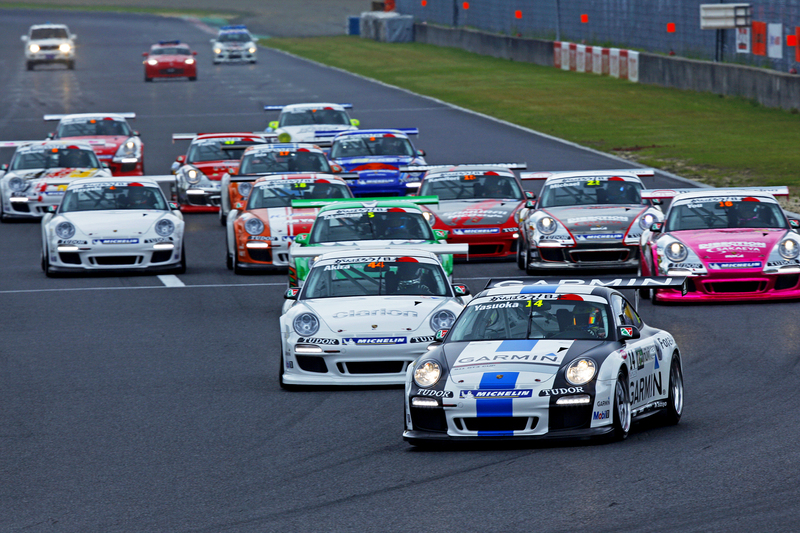 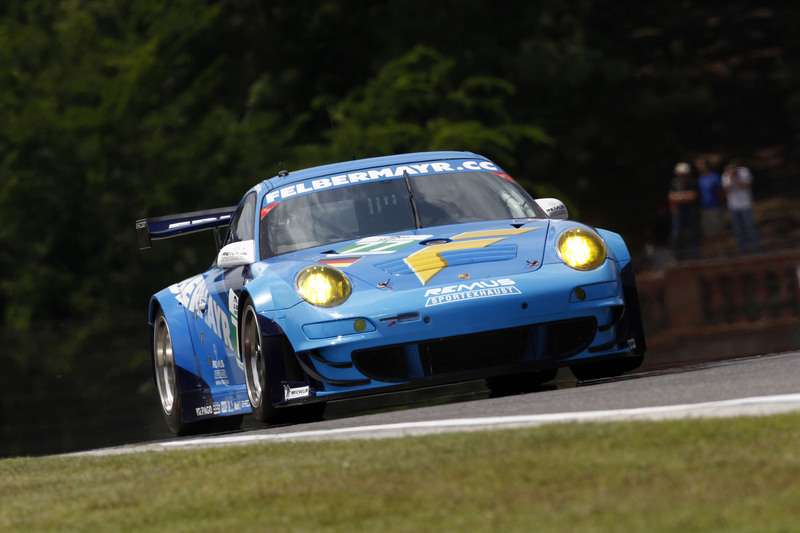 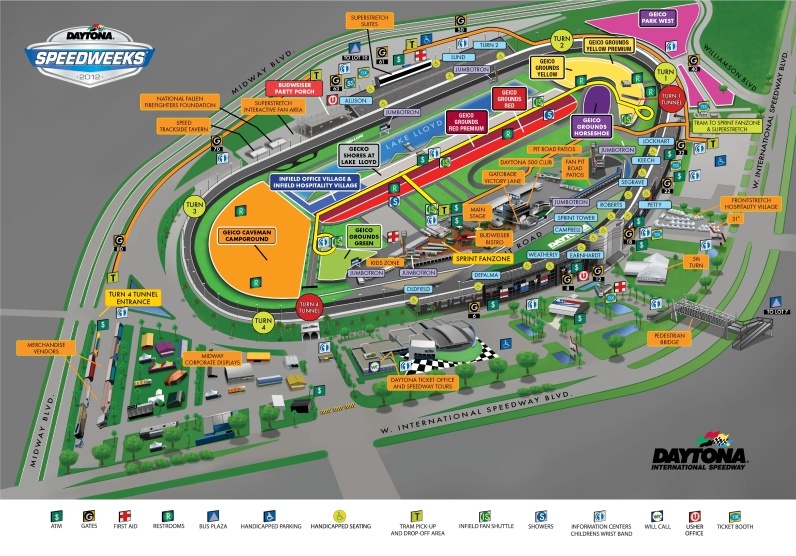 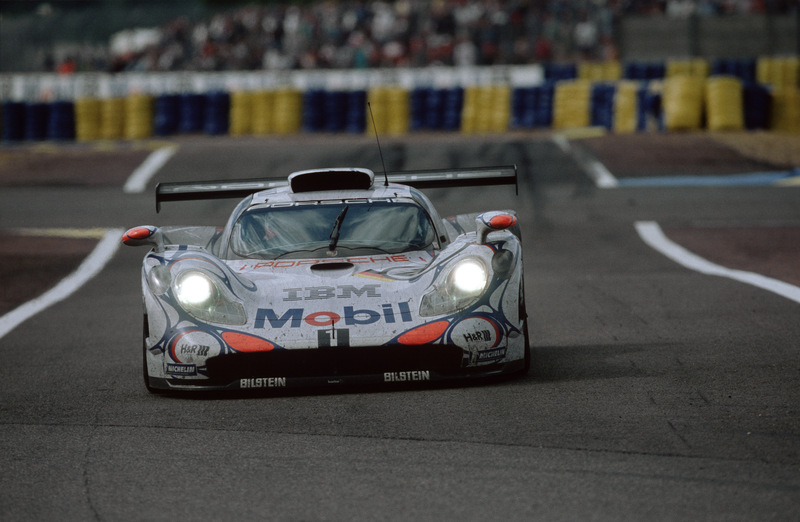 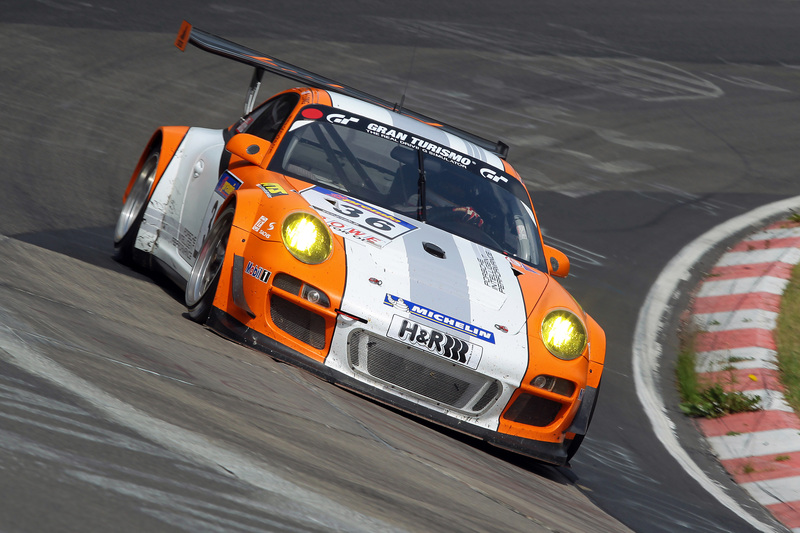 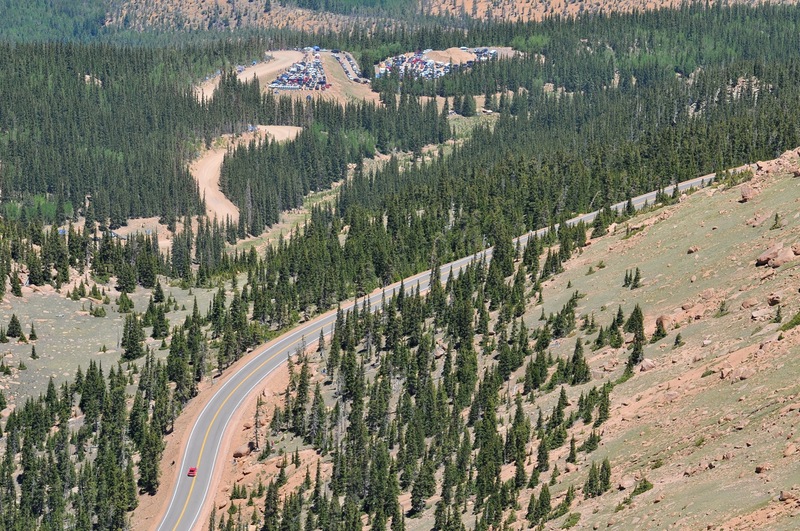 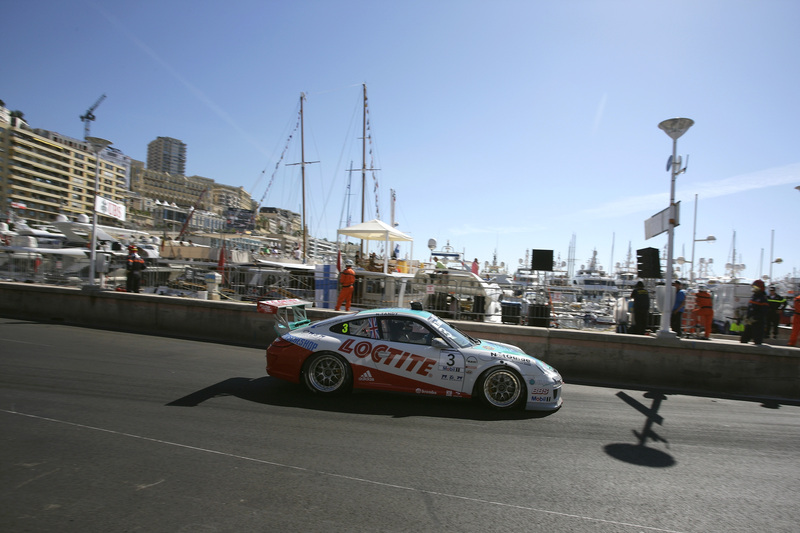 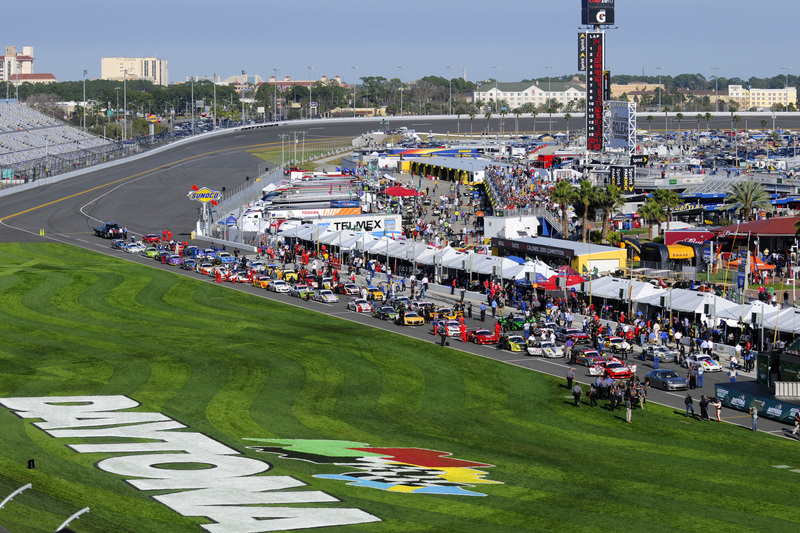 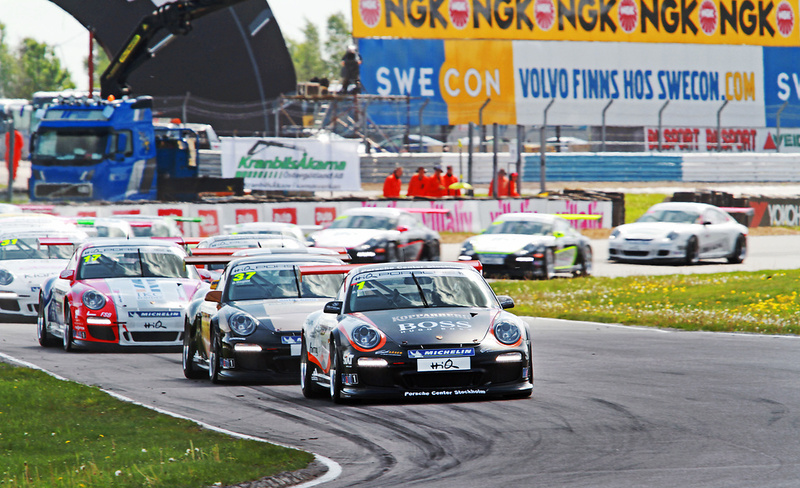 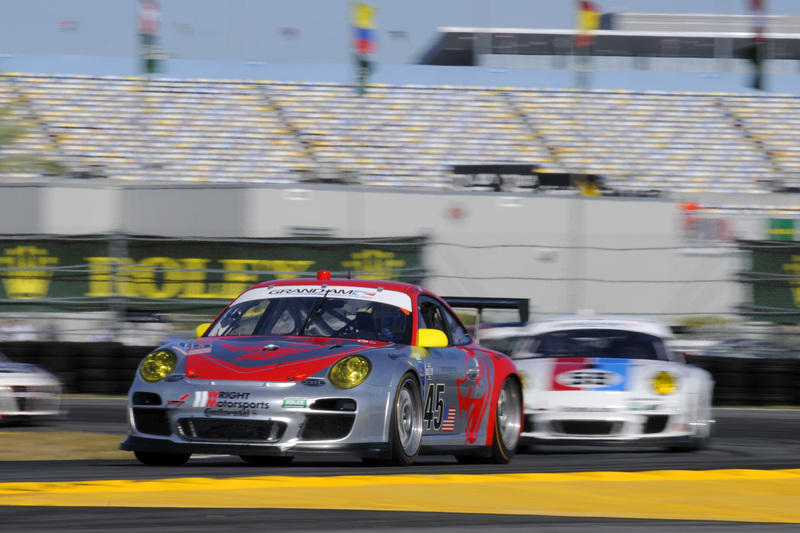 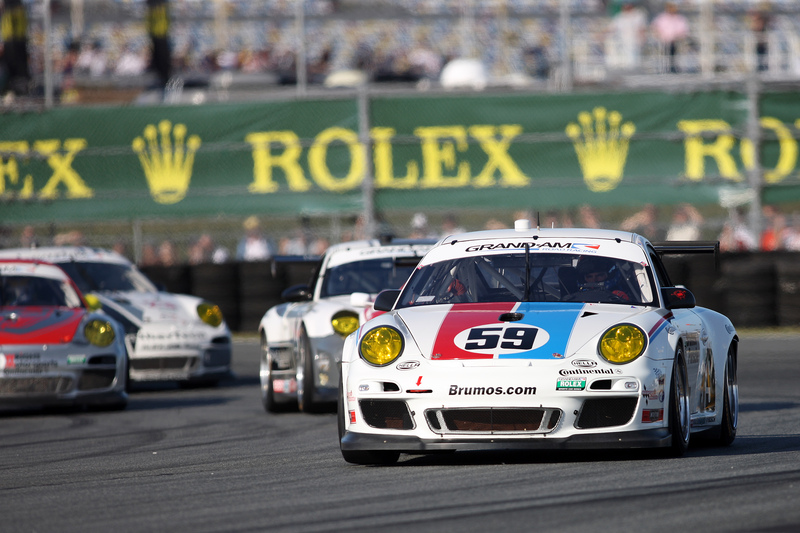 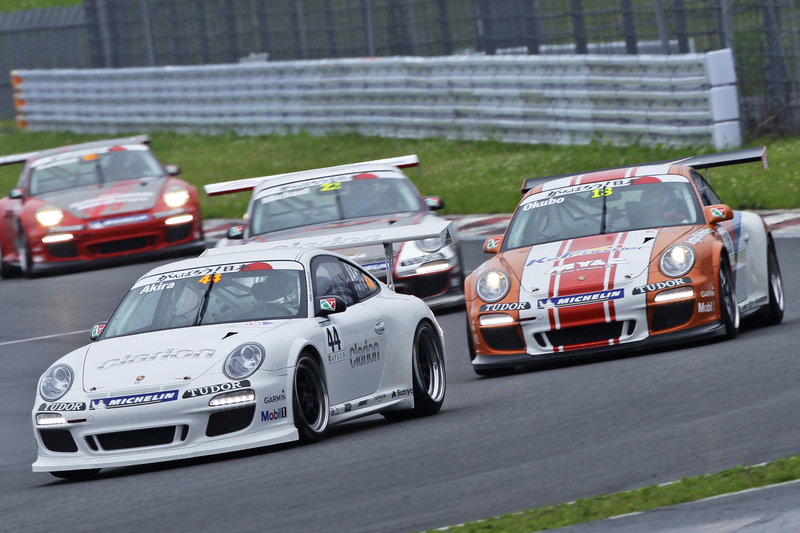 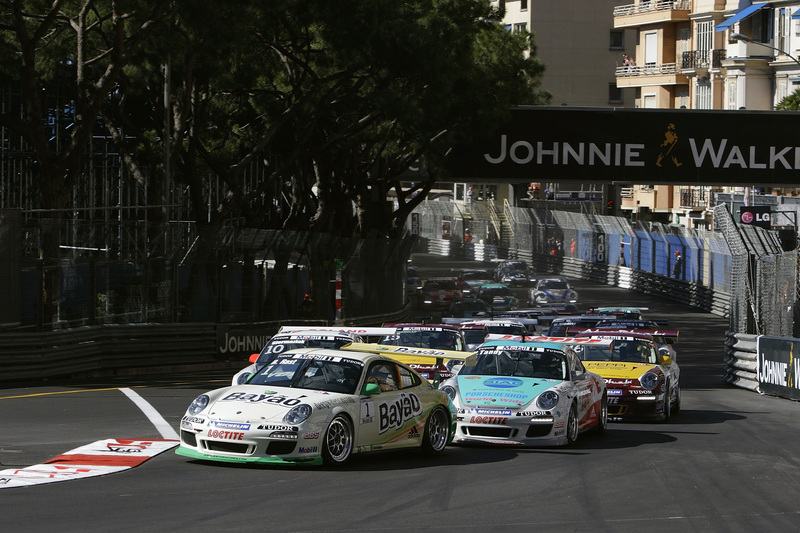 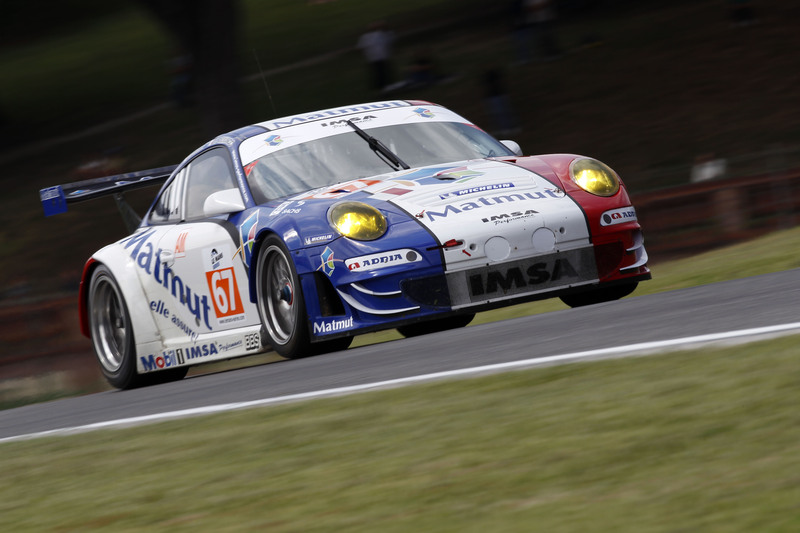 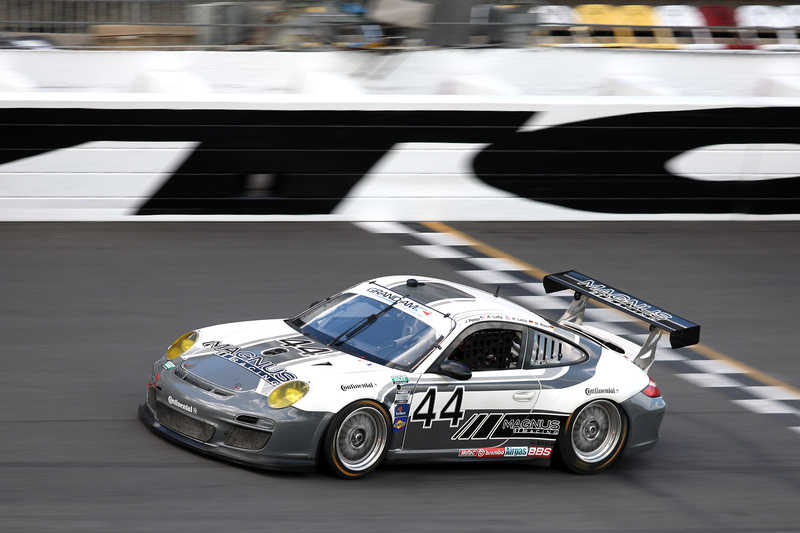 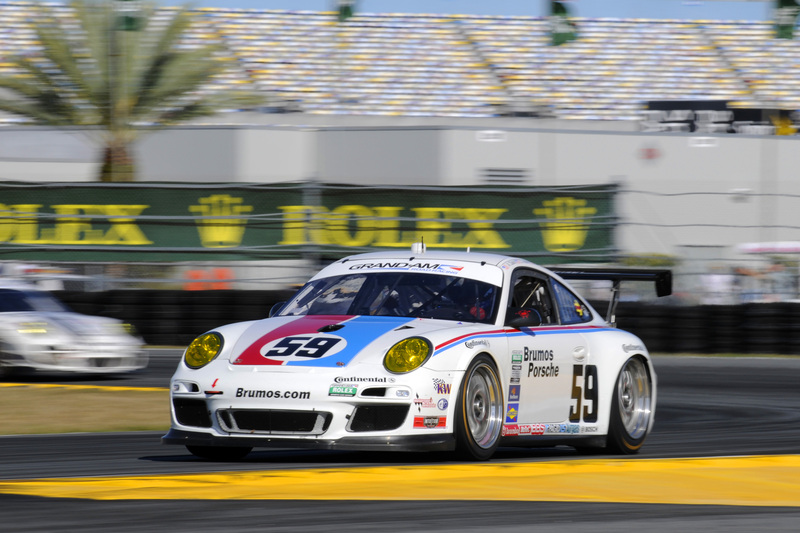 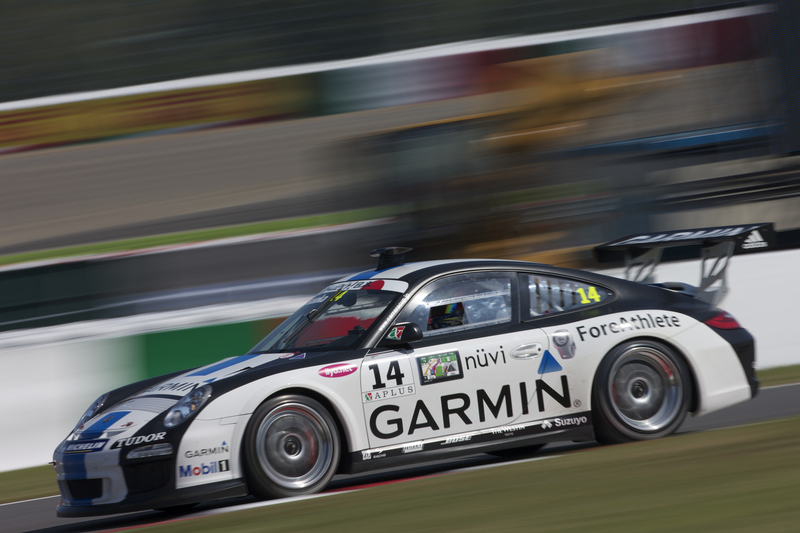 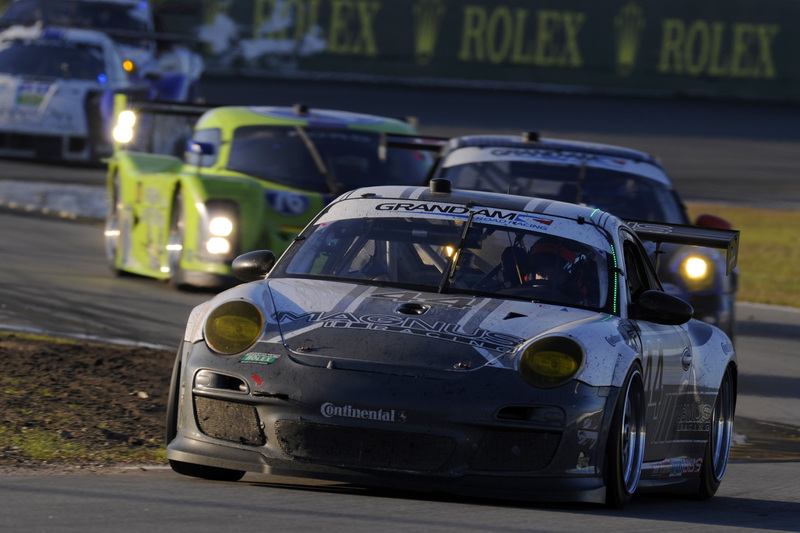 No other race car has turned the fastest race lap more than the 911 with four lap records. 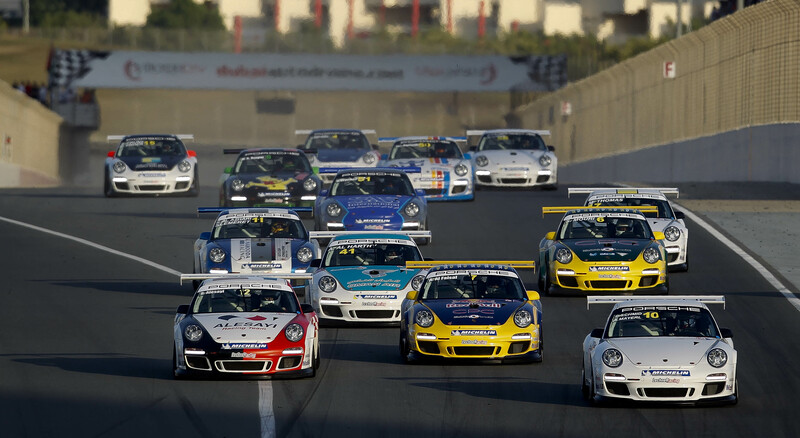 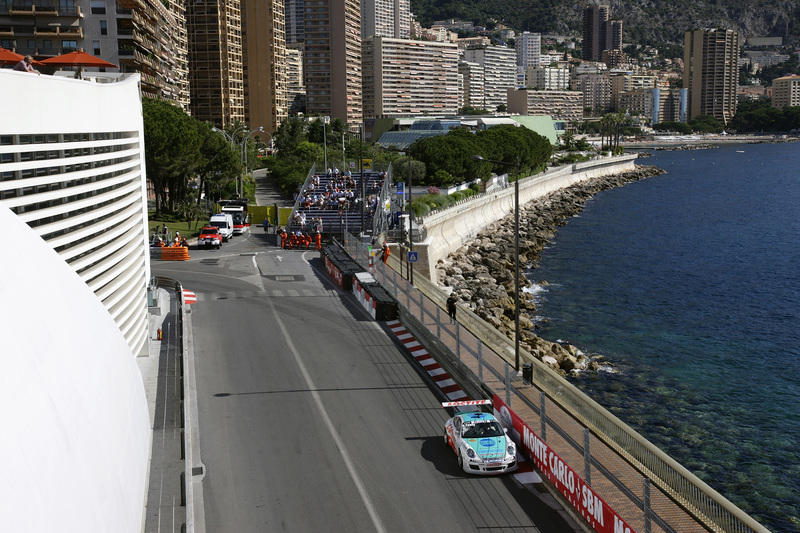 The fight for the Porsche Mobil 1 Supercup title is decided at the double-header finale on the Yas Marina Circuit in Abu Dhabi as part of the Formula 1 weekend (12/13 November). 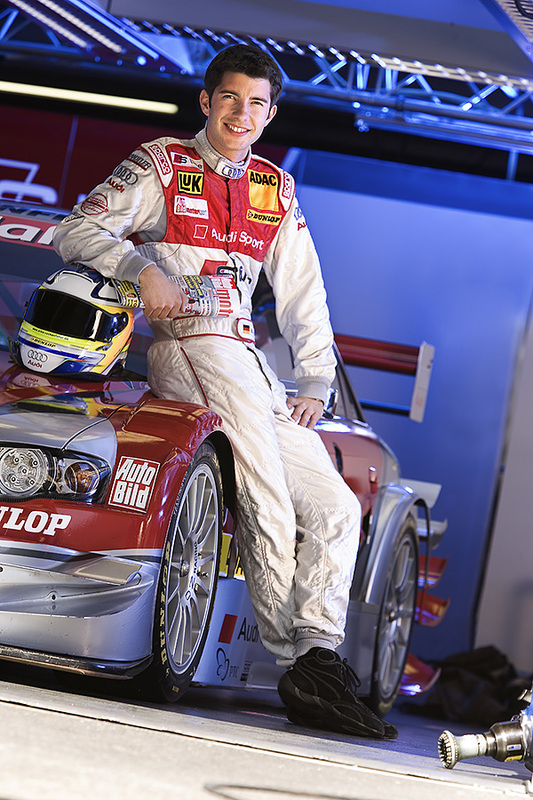 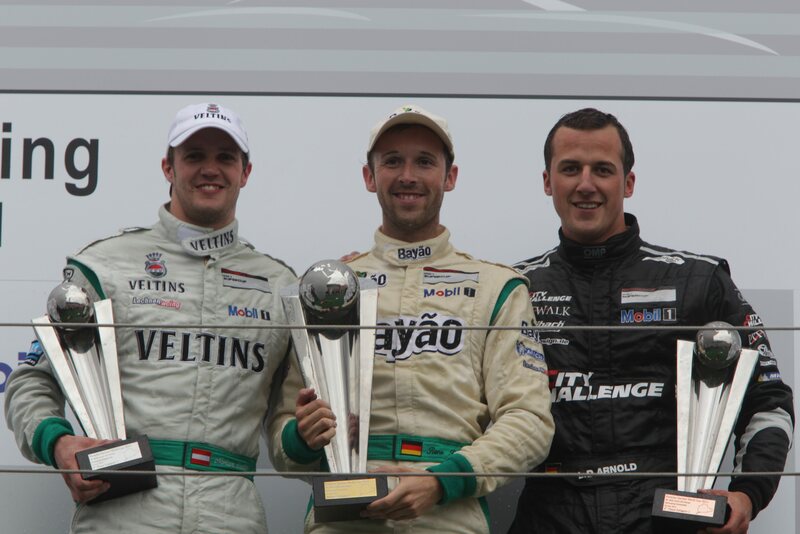 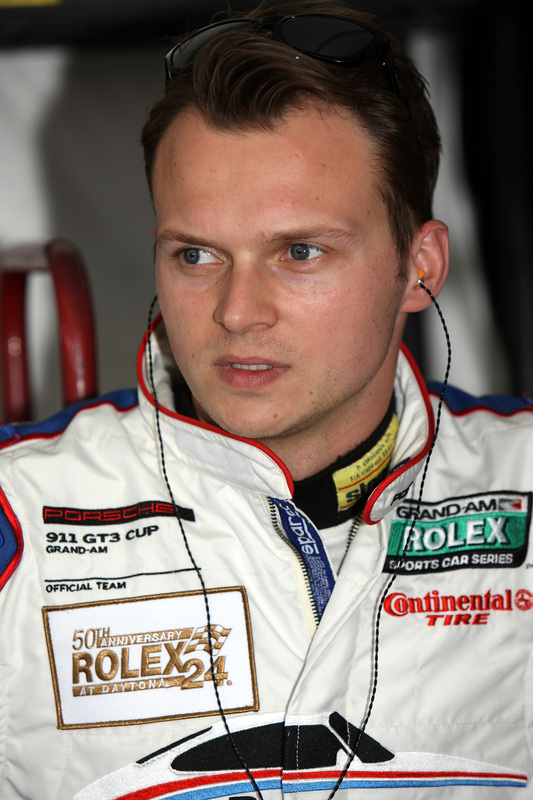 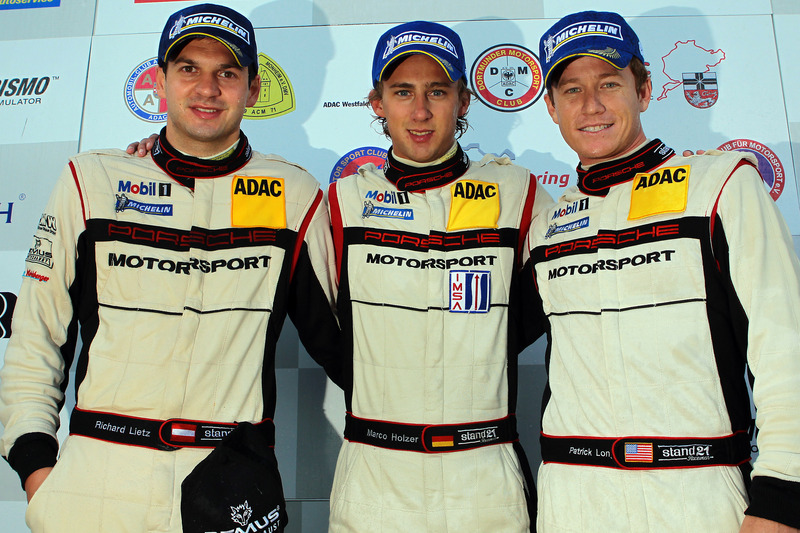 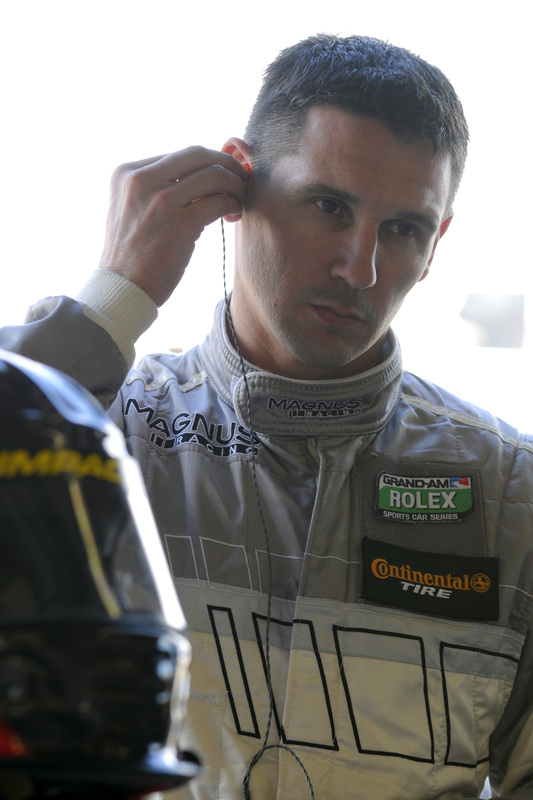 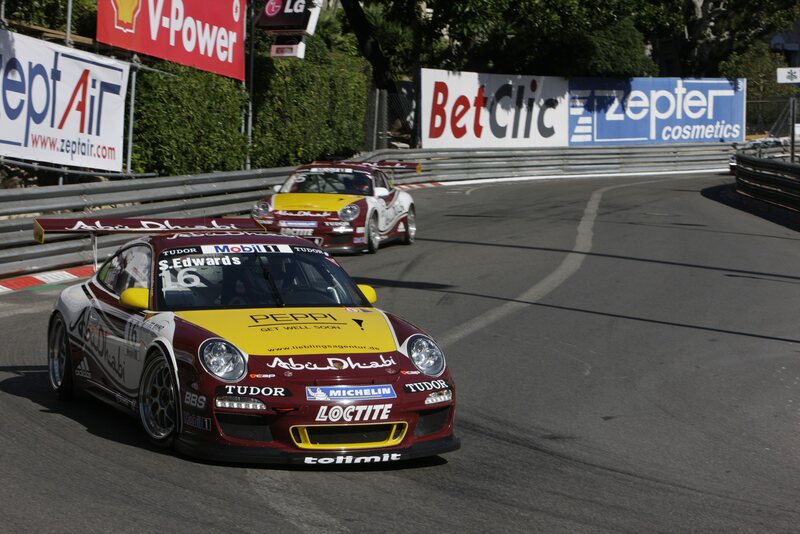 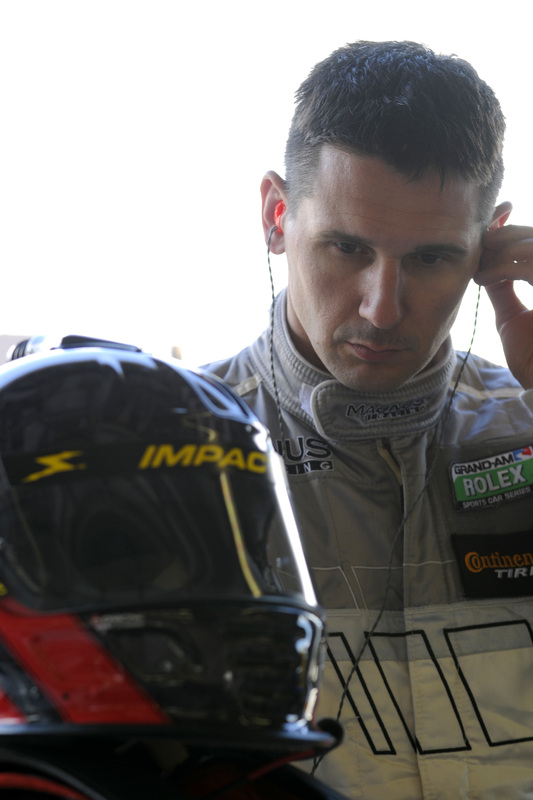 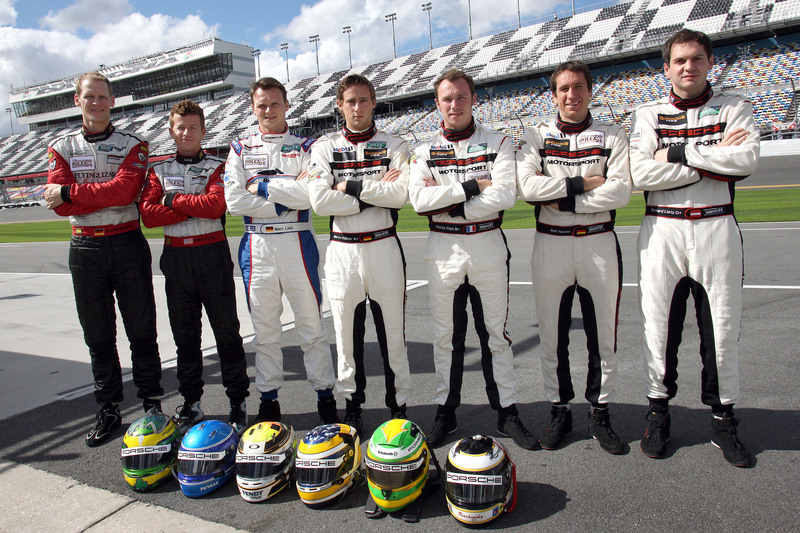 Aside from points’ leader René Rast, title contenders are Kuba Giermaziak, Norbert Siedler and three other drivers. 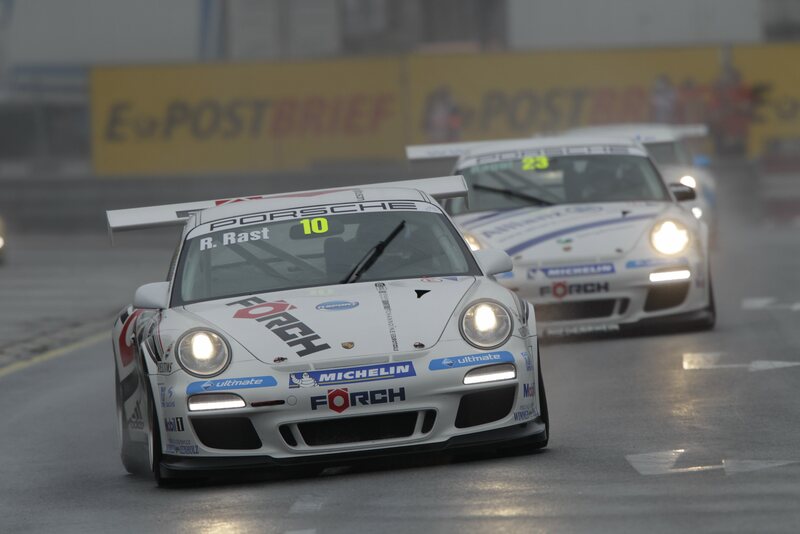 Things go down to the wire as well in the Carrera Cup Australia, where New Zealander Craig Baird travels to the final in Sydney (2/4 December) holding a healthy points’ lead after three wins in Surfers Paradise (22/23 October) ahead of his second-placed compatriot Daniel Gaunt.